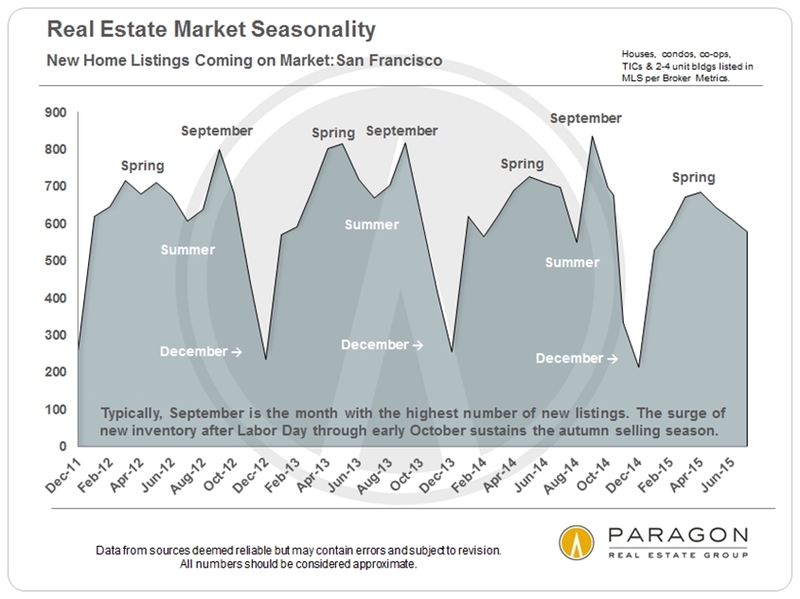 The autumn selling season started with a large surge of new listings right after Labor Day, but it will be another month or so before preliminary statistical data is available on home sales negotiated since then. 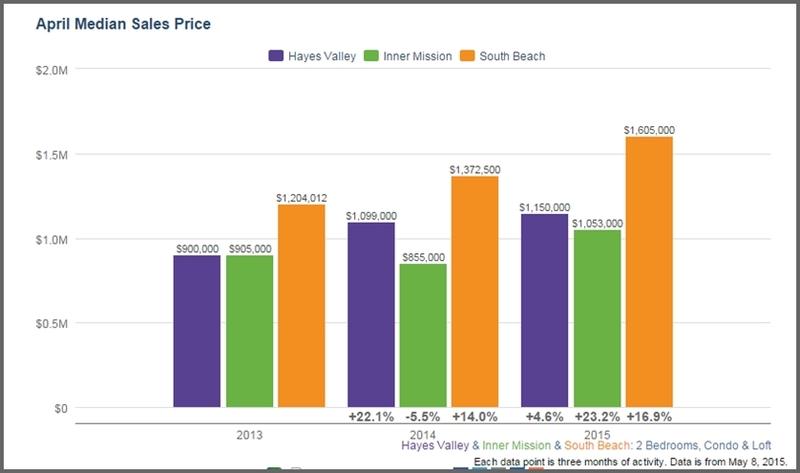 However, it is clear that the recent volatility in national and international financial markets has not so far caused a severe adjustment to local home prices. 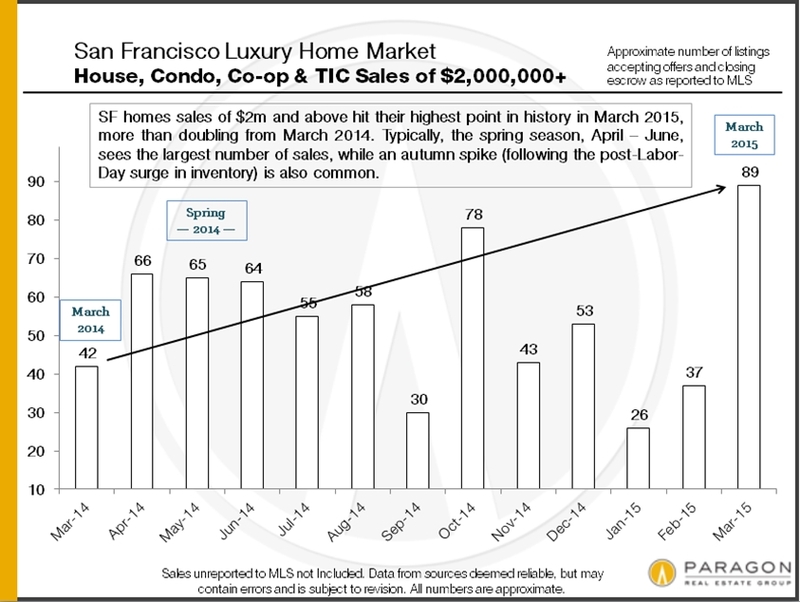 While we wait for early autumn sales to close in quantity, we’ll review the market from a variety of angles. 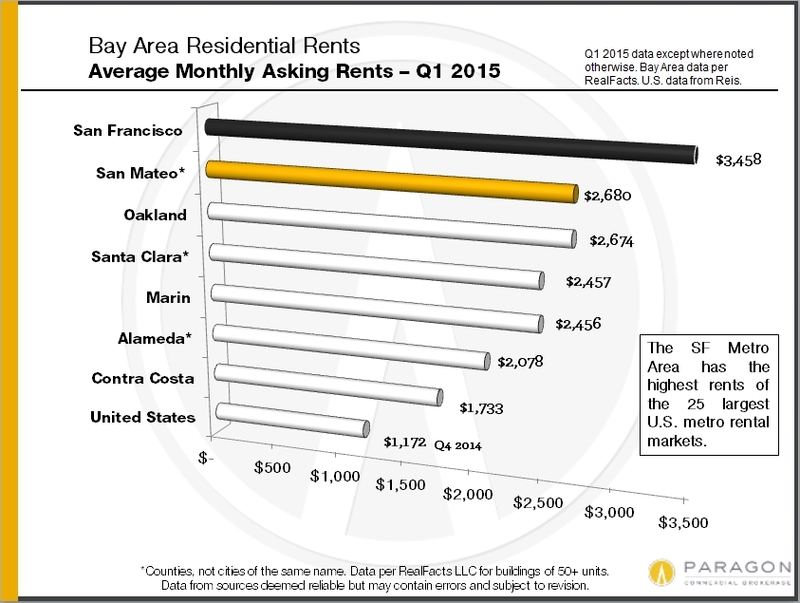 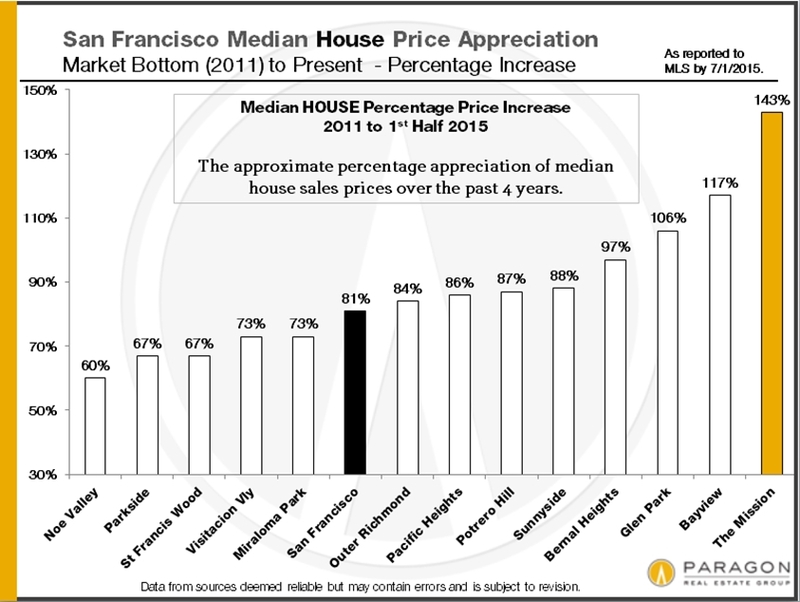 It’s not unusual for median prices to drop in the 3rd quarter, which happened this year as well. 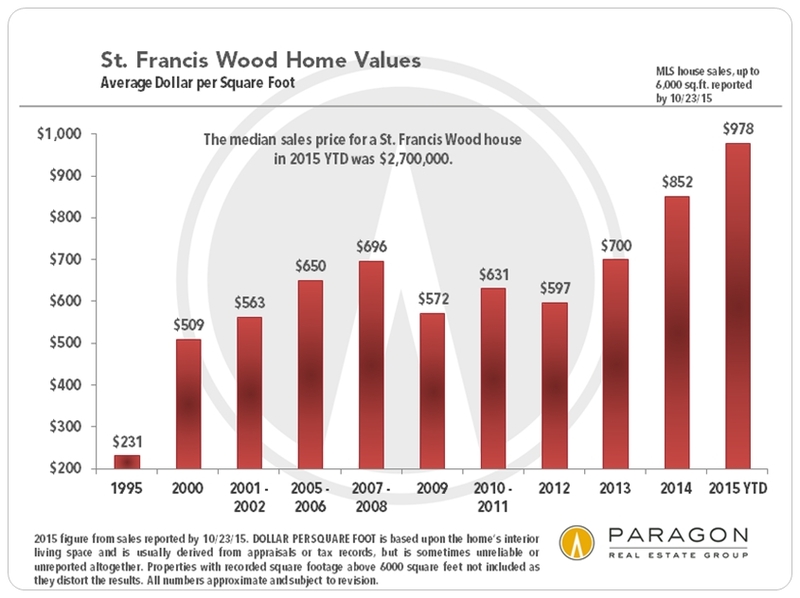 This has less to do with fair market value, than with the fact that the market for higher priced homes slows down much more than that of the general market in summer. 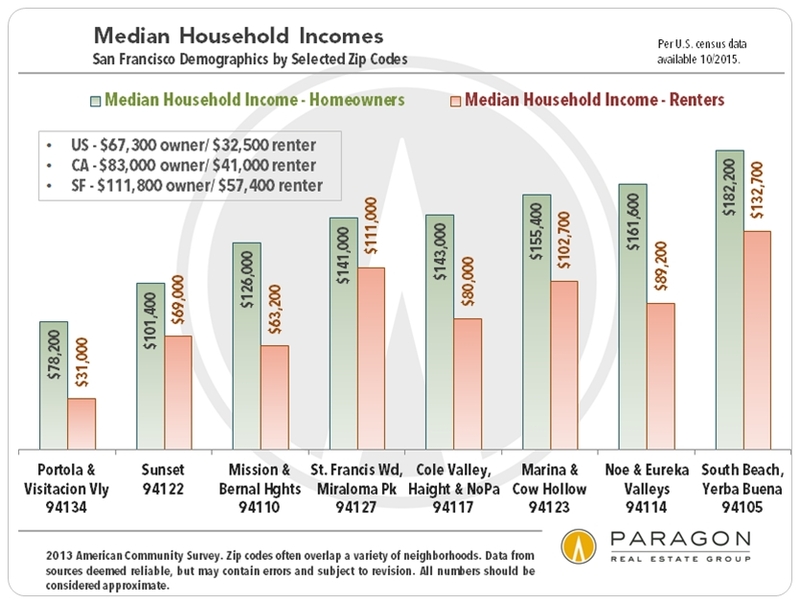 For the purposes of this analysis, we’ve broken home ownership into 2 aspects, the first being ongoing housingcosts – mortgage interest, home insurance, property taxes, maintenance – which after tax deductions could be compared to the cost of renting a similar home. 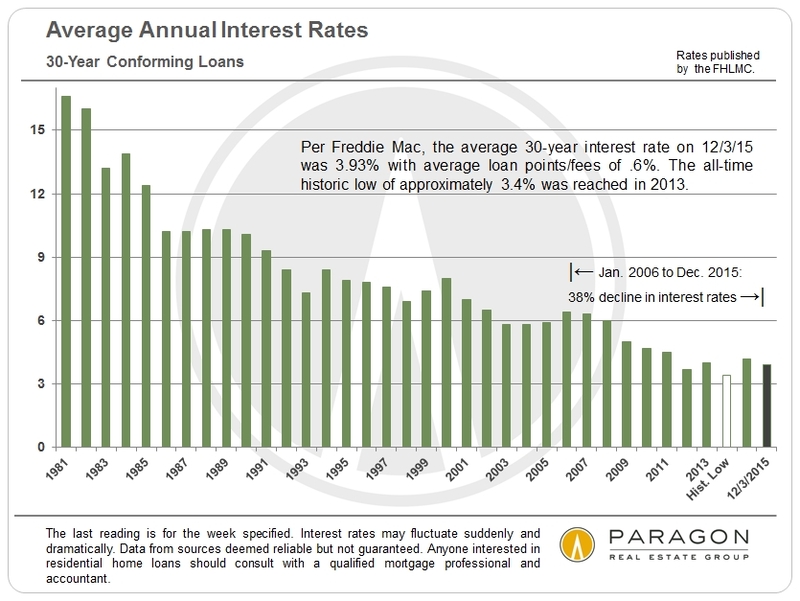 The second aspect, illustrated in the chart above, is the cash investment side of buying a home and the compound annual return on that investment, after closing costs and loan principal repayment are deducted, if one had purchased a median SF house in 1994. 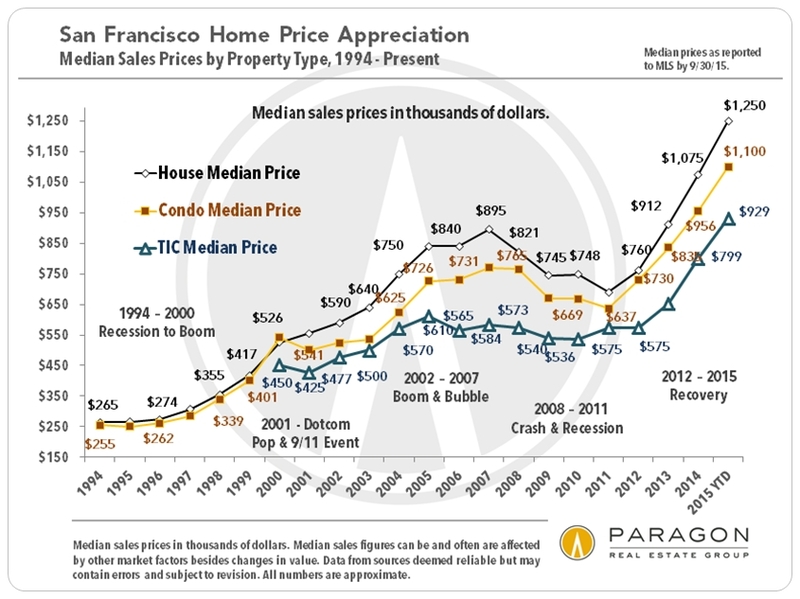 For the San Francisco Median House calculation, we used the 1994 median price ($265,000), with a 20% downpayment ($53,000) and paying 1.5% in buy-side closing costs ($3975) for a total cash investment of $56,975. 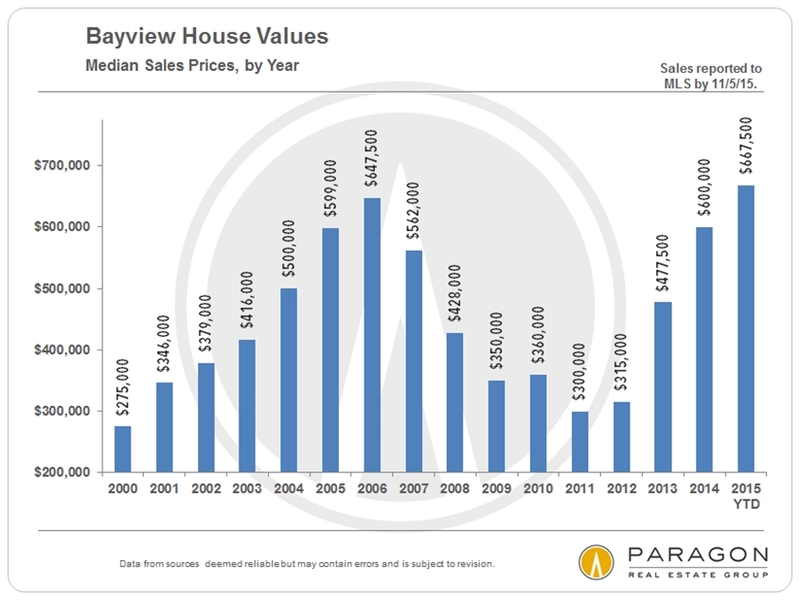 Net proceeds were calculated using the 2015 YTD median sales price ($1,250,000), deducting 6% in sell-side closing costs ($75,000) and the original 80% mortgage balance ($212,000), which equals $963,000. 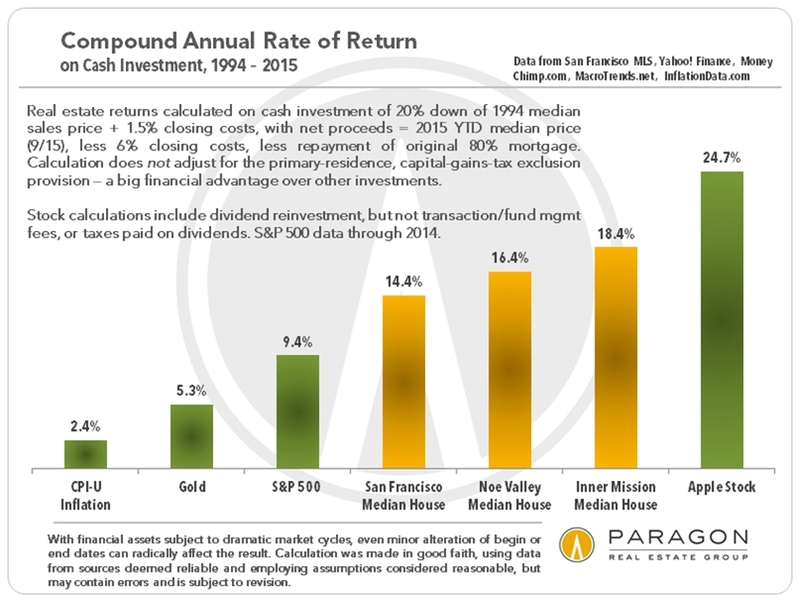 This equals an annual compound return on investment of 14.4% over the 21-year period. 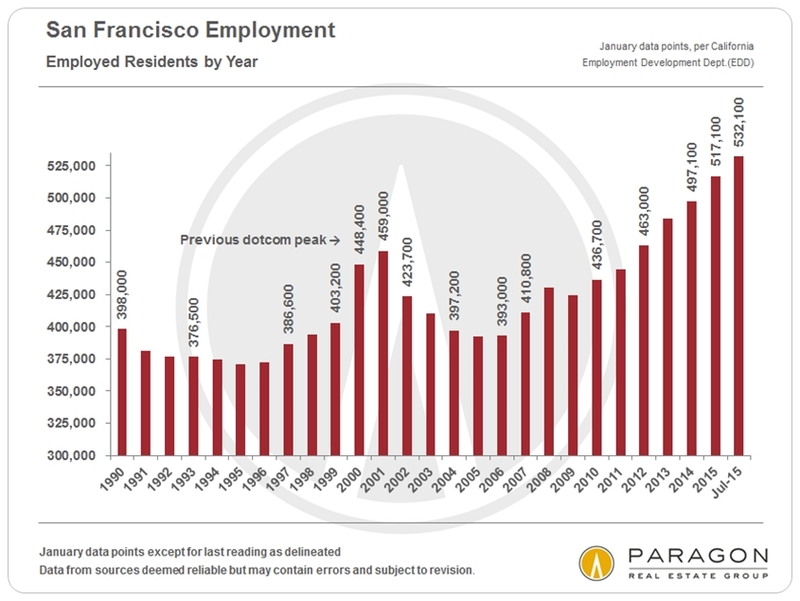 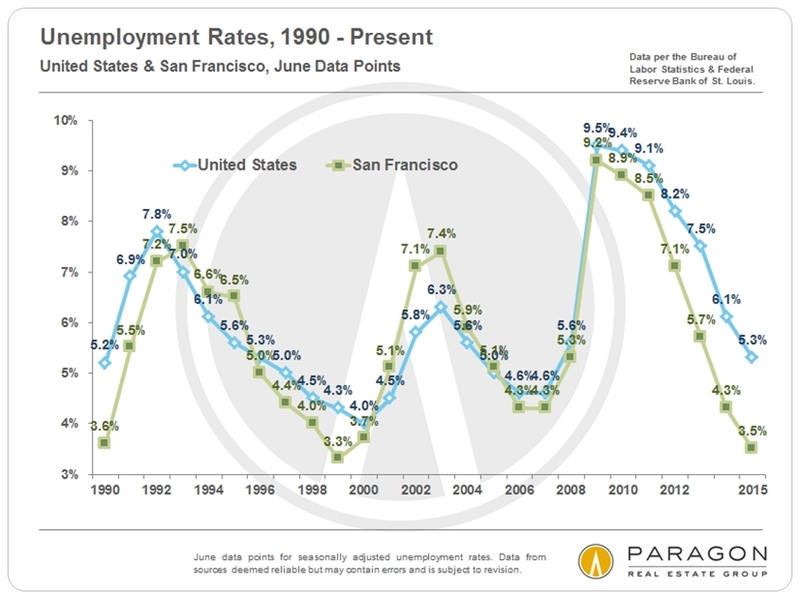 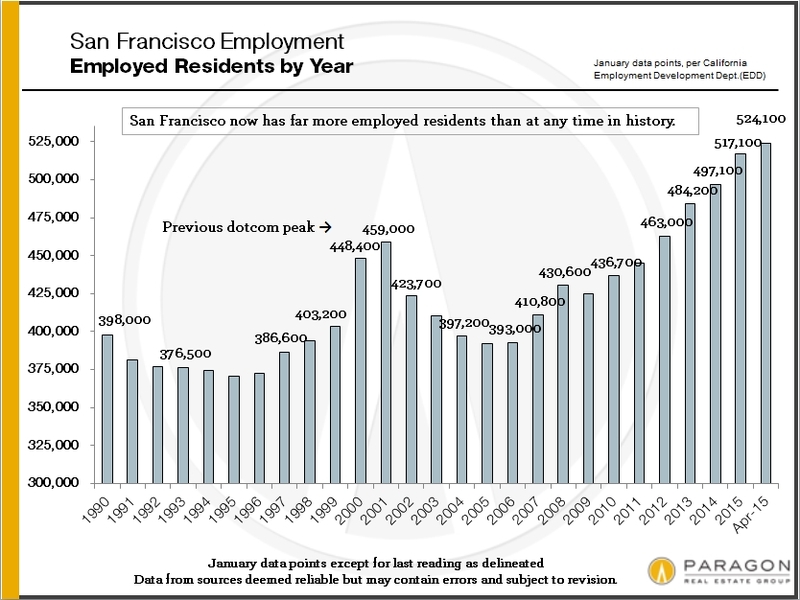 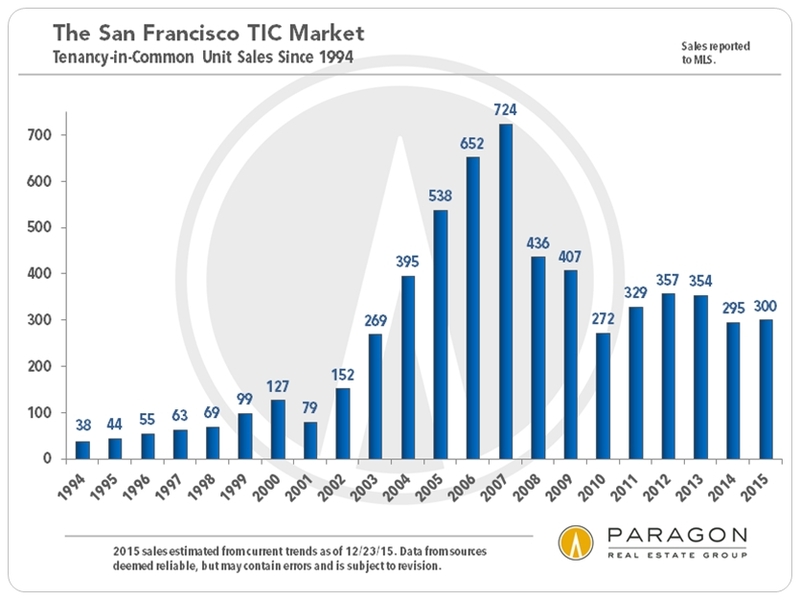 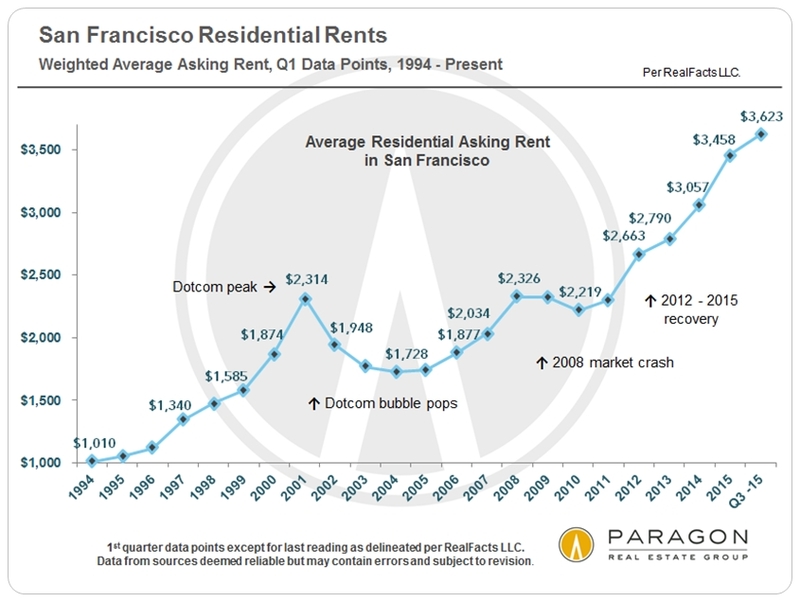 All of us should have put every penny we had into Apple stock in 1994, but barring that, purchasing a home in San Francisco would have been a decent alternative – particularly if you’d bought in Noe Valley or the Mission. 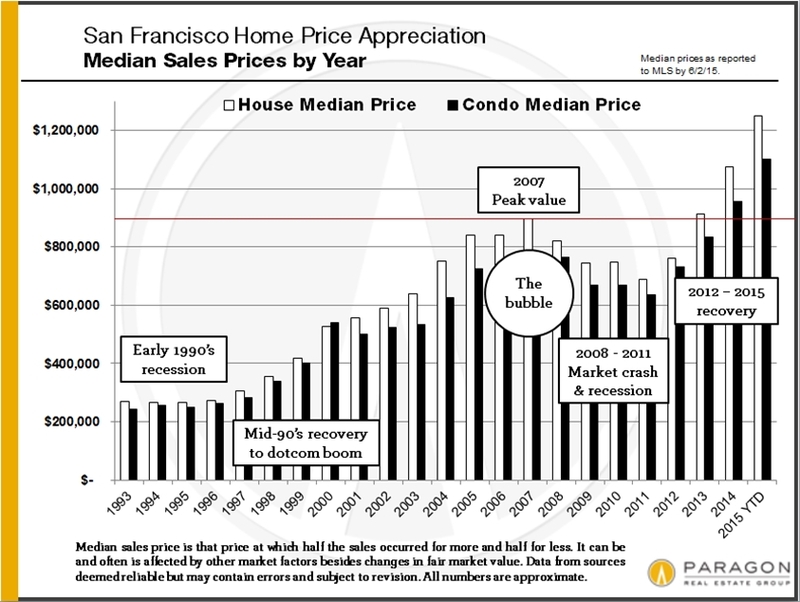 Three factors not included in the above analysis further increase the financial benefits of home purchase over the other investments graphed: 1) the $250,000/$500,000 capital gains tax exclusion on the sale of a primary residence (potentially saving up to $75,000 in taxes), 2) the “forced savings” effect of gradually paying off one’s mortgage (if one resists refinancing out growing home equity), which has a substantial wealth-building effect, and 3) over time, the ongoing cost of housing with a fixed rate loan, strategically refinanced when rates go significantly lower, will usually fall well below rental costs that continue to rise with inflation. 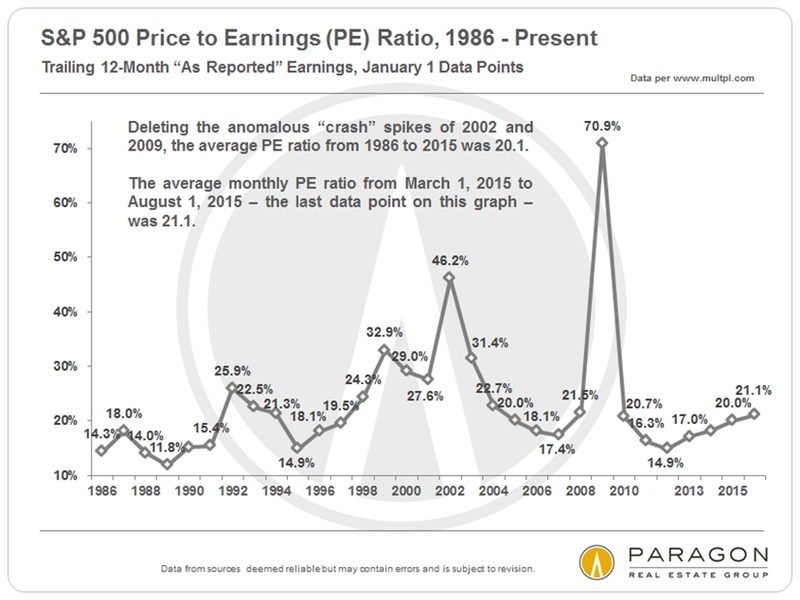 With financial assets subject to market cycles, changing the buy or sell dates in this analysis can dramatically affect the return. 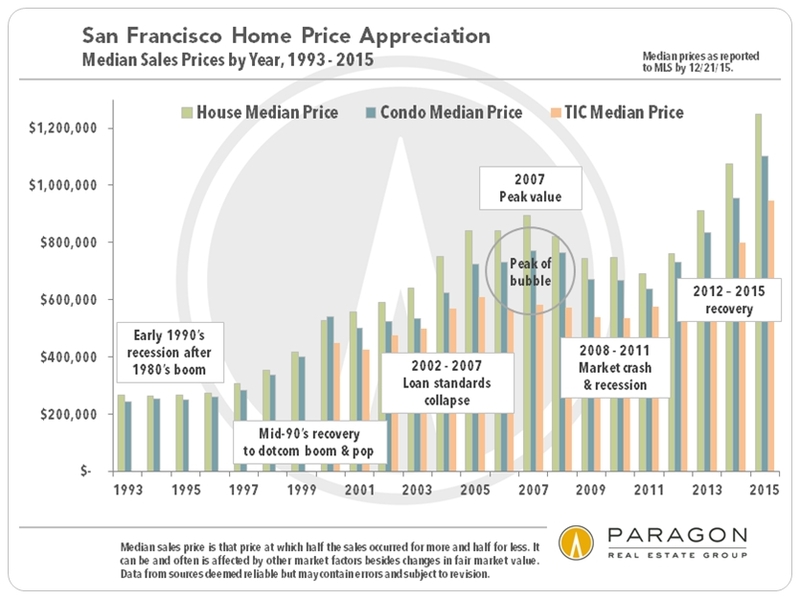 We picked 1994, because of the availability of MLS median price data going back to then. 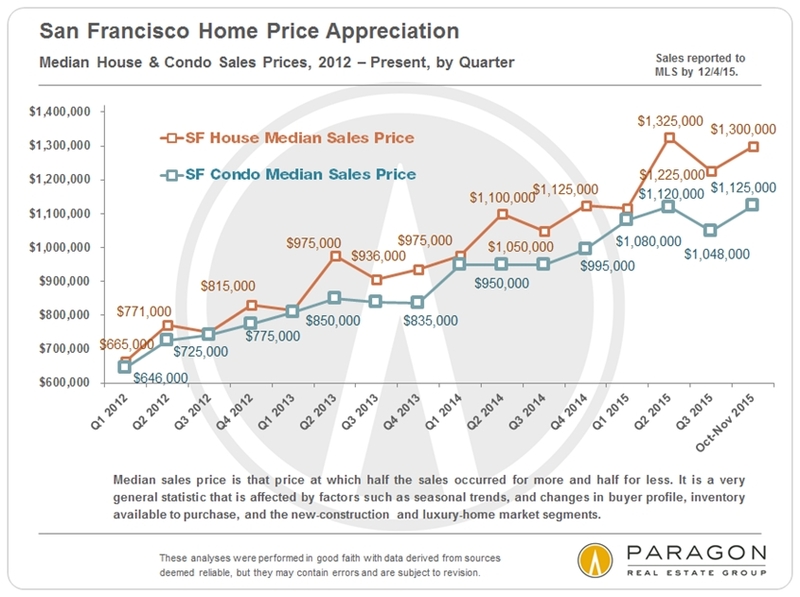 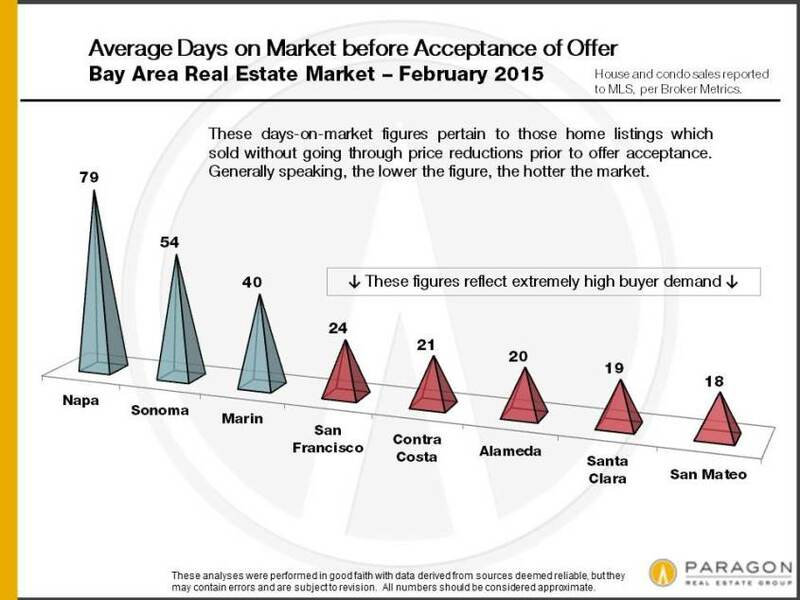 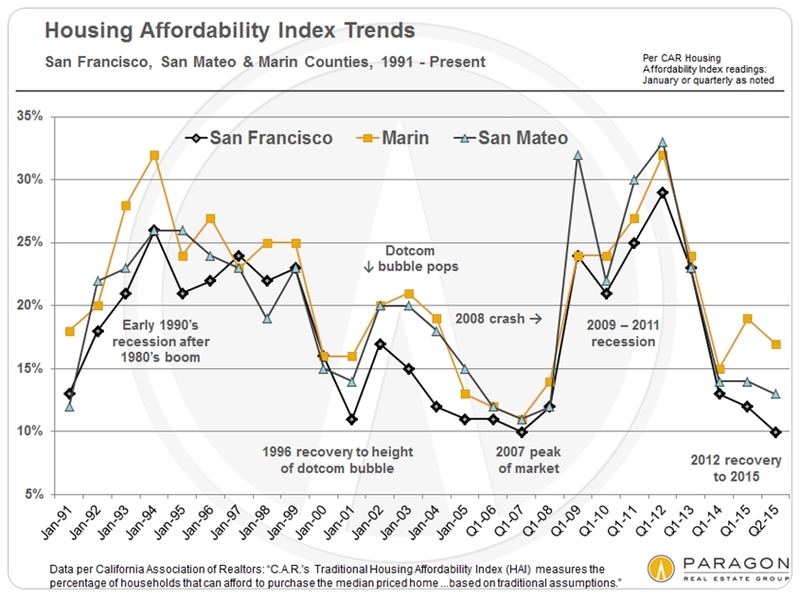 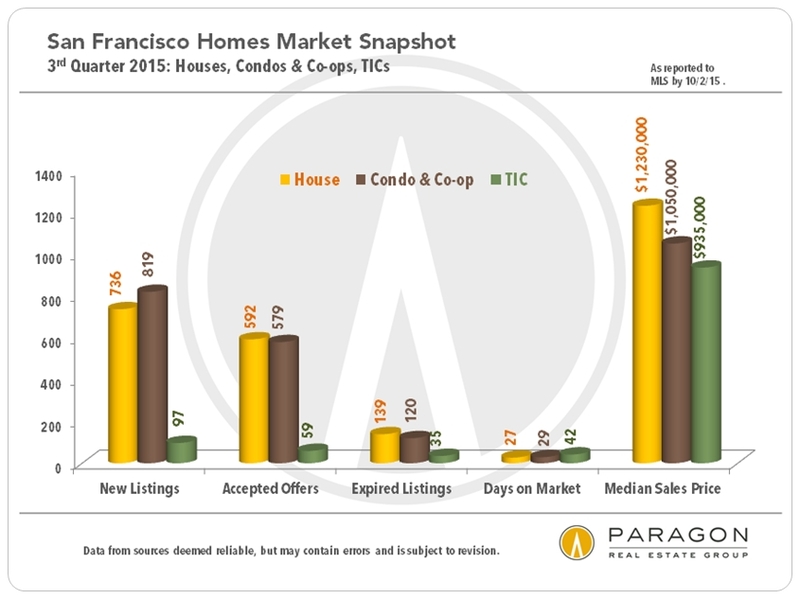 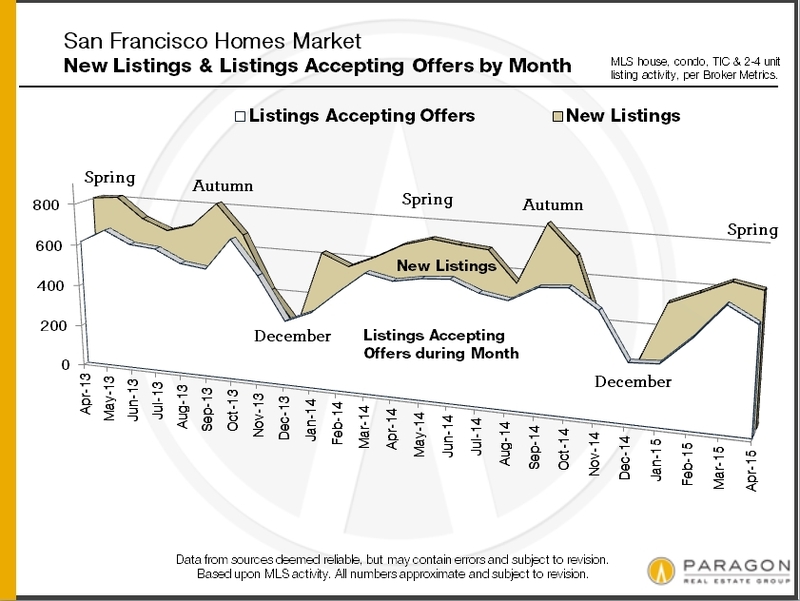 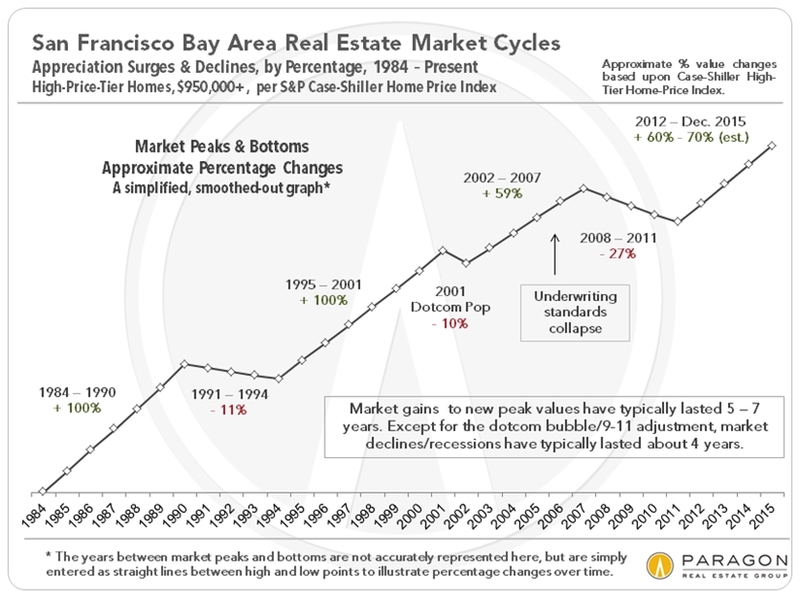 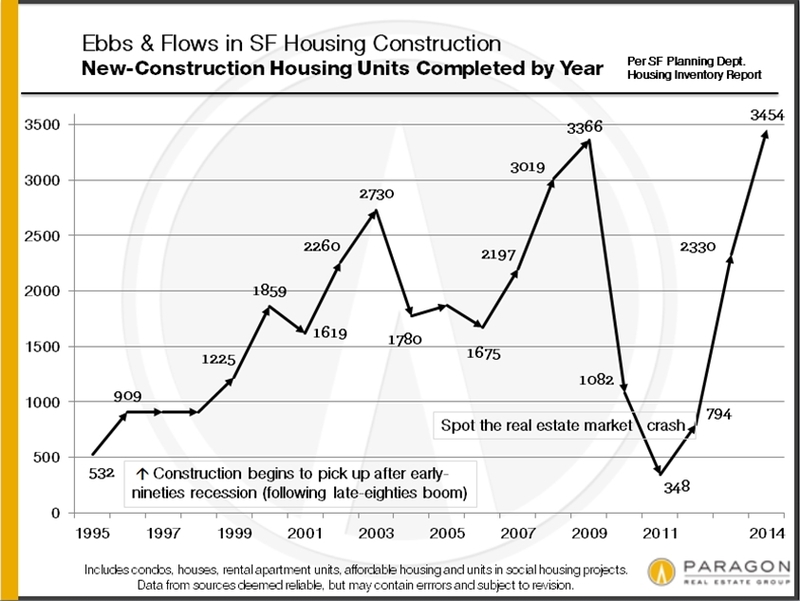 These two charts above illustrate both how competitive the market has been – the average SF home selling without a price reduction sold very quickly for 13.5% over asking price in the 3rd quarter – and the significant difference between homes that get an immediate market response and thosethat have to go through one or more price reductions before selling. 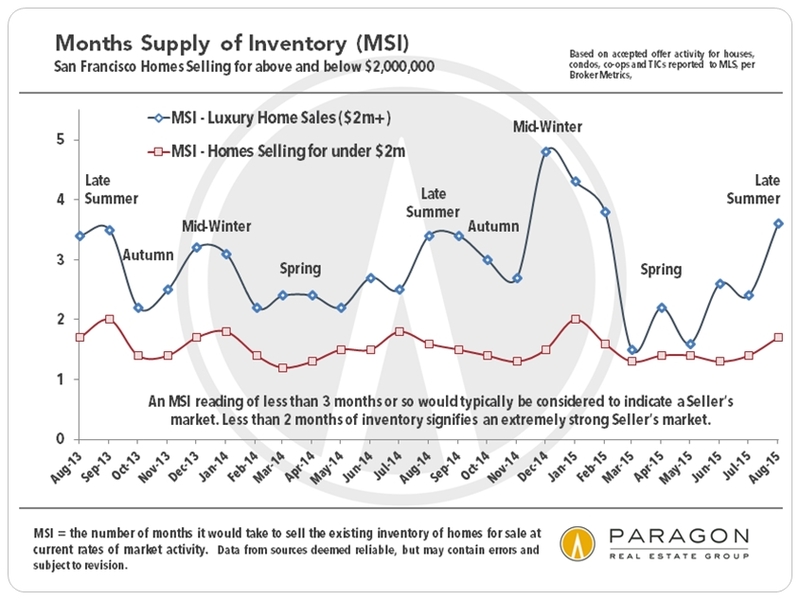 The lower the Months Supply of Inventory, the stronger the buyer demand as compared to the supply of homes available to purchase. 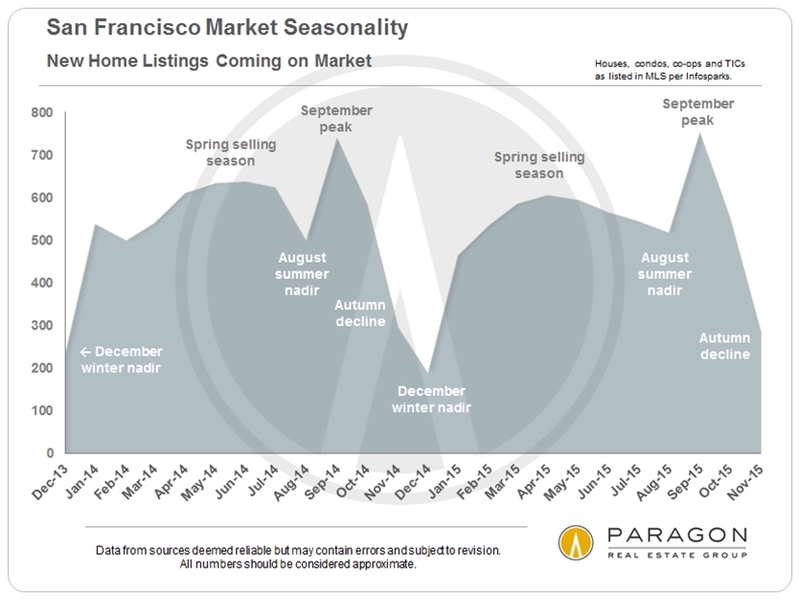 This chart illustrates the seasonality of the real estate market – typically strongest in spring (especially) and autumn, and slowing down during the summer and especially the winter holidays. 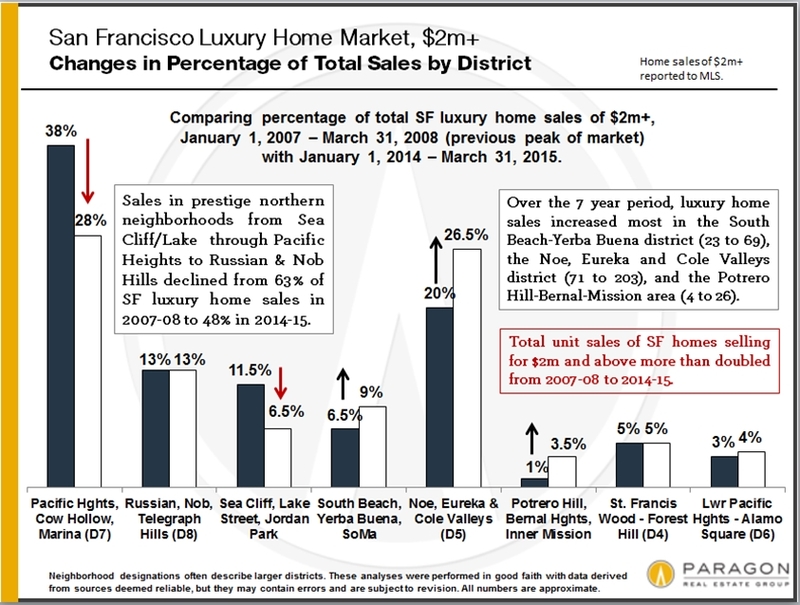 It also shows that the lower-priced home segment is generally hotter than the higher priced – as shown by the lower MSI readings – and finally, how much more the luxury home segment is affected by seasonality. 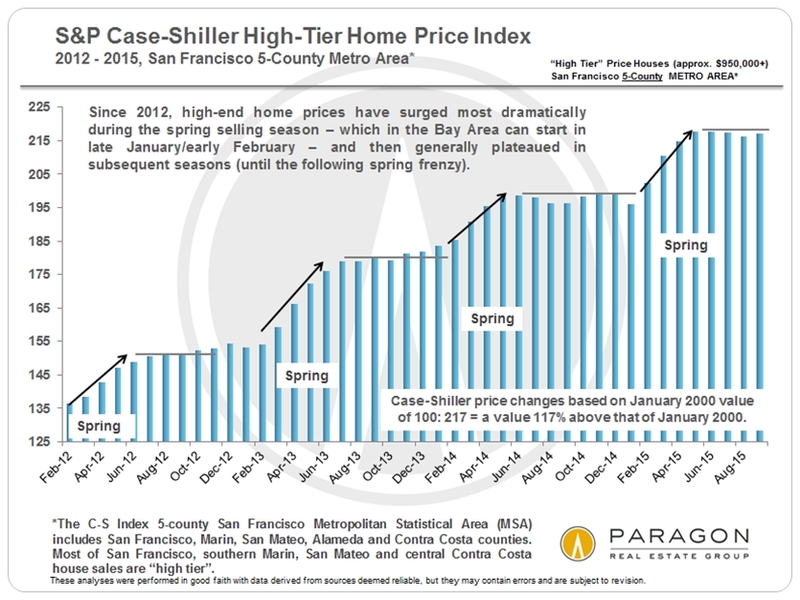 The dramatic slowdown in the highest-priced segment during summer and winter is one of the big reasons why median home prices usually drop during those seasons. 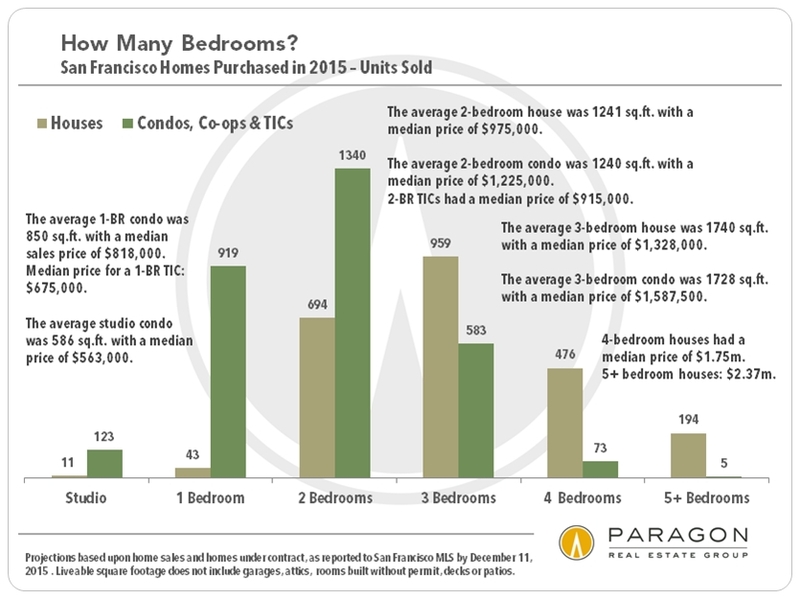 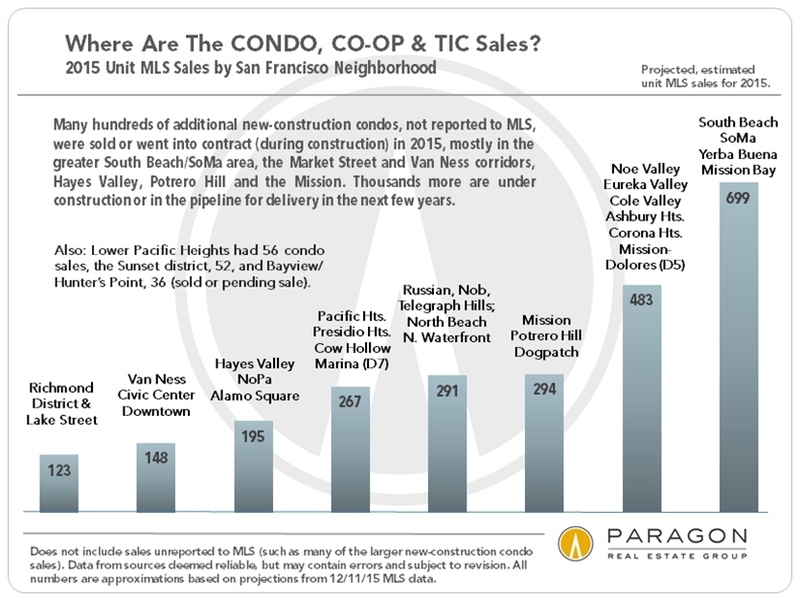 This doesn’t include brand new luxury condo developments – some of which are selling at very high prices – nor many very expensive and very prestigious condo and co-op buildings which simply have too few sales for meaningful statistical analysis. 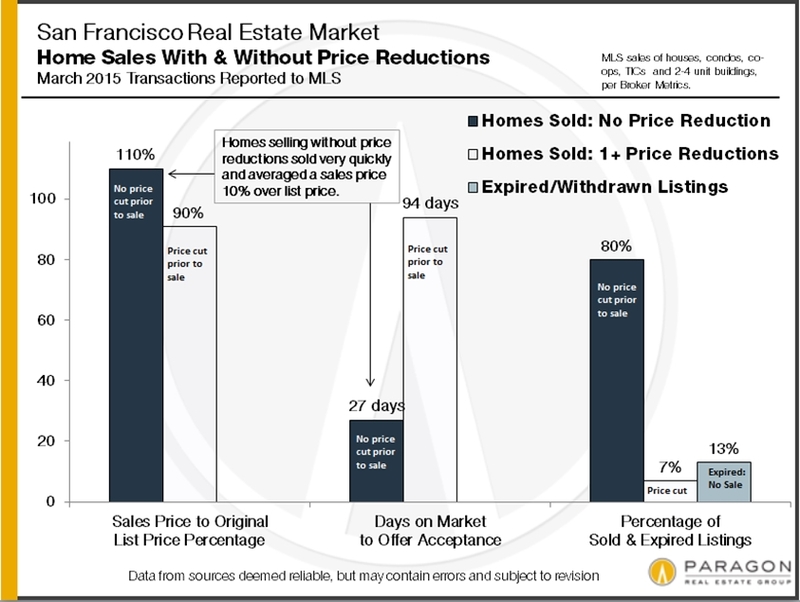 These analyses were made in good faith with data from sources deemed reliable, but they may contain errors and are subject to revision. 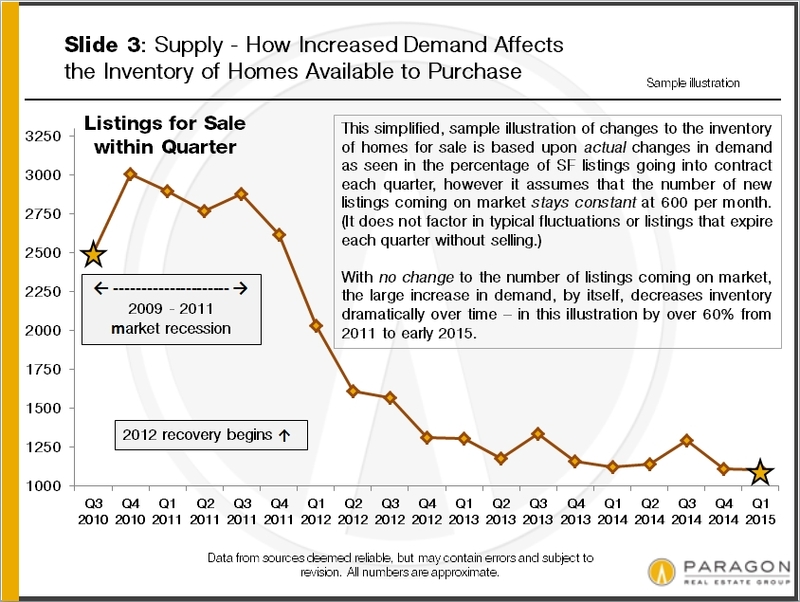 Statistics are generalities and all numbers should be considered approximate. 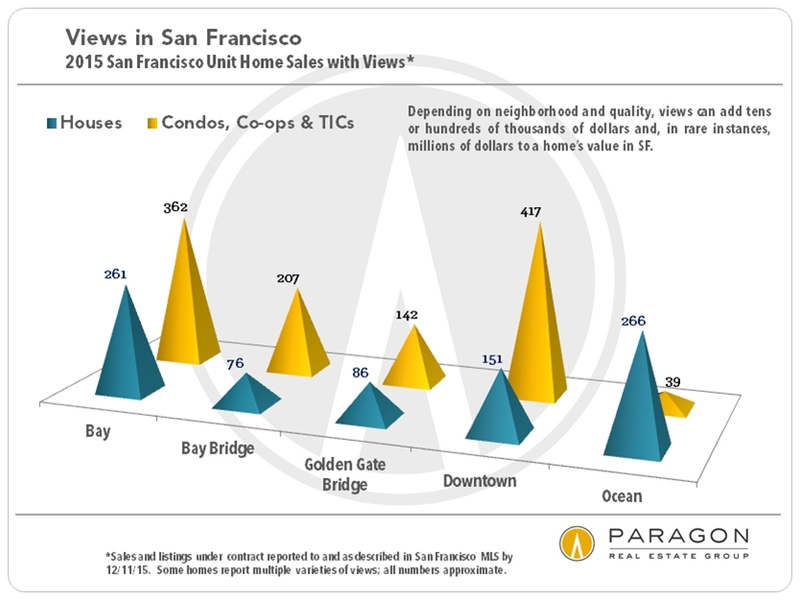 How any median or average statistic applies to a particular home is unknown without a specific comparative market analysis. 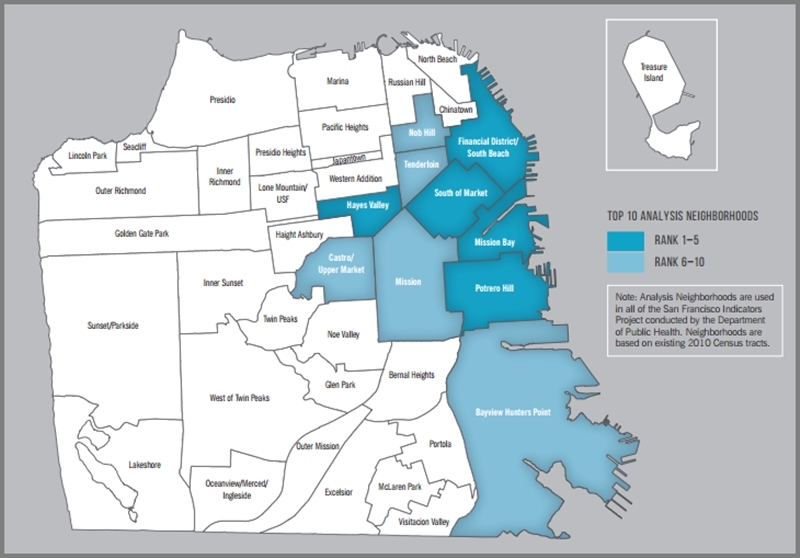 We are not qualified to render legal or tax advice of any kind. 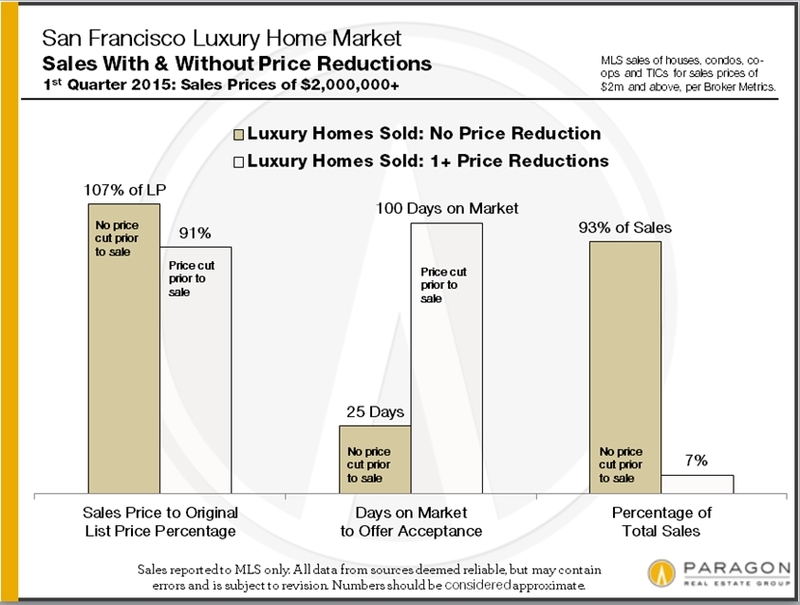 Sales statistics of one month generally reflect offers negotiated 4 – 6 weeks earlier. 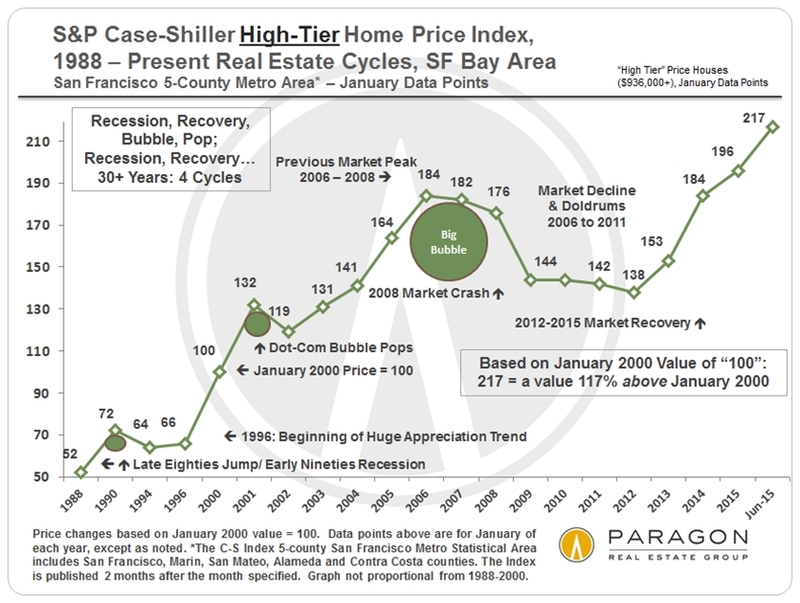 Besides the general economic recovery, there are other factors in different counties affecting home price increases over the past 4 years: 1) the huge decline in distressed property sales in those counties severely affected during the downturn (such as Solano, Contra Costa & Alameda), 2) the dramatic surge in luxury home sales (such as in SF, San Mateo & Marin), 3) increasing luxury condo construction (SF), and 4) the effect of the high-tech boom in employment and wealth, which radiates out from San Francisco and Silicon Valley. 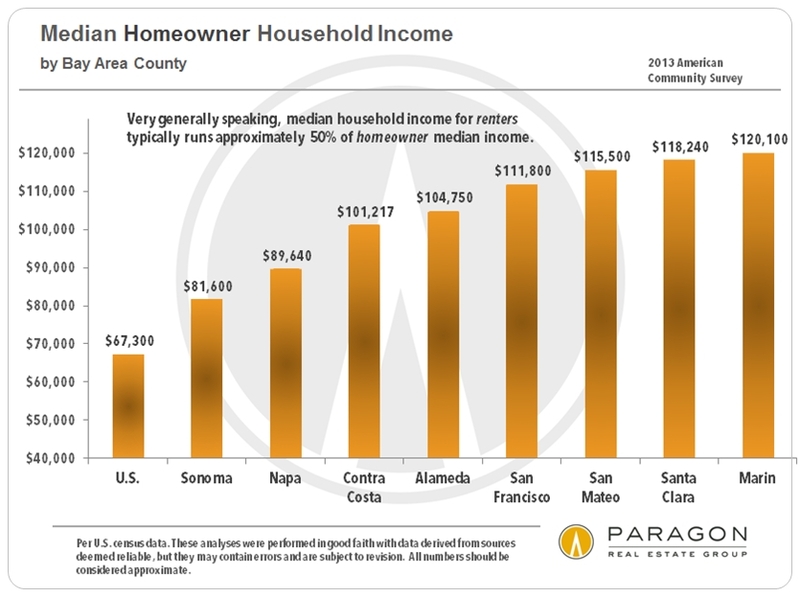 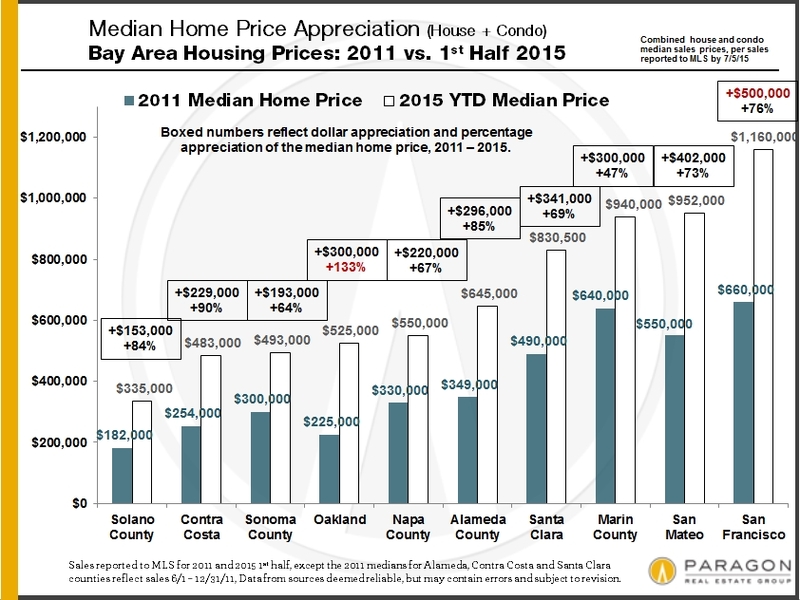 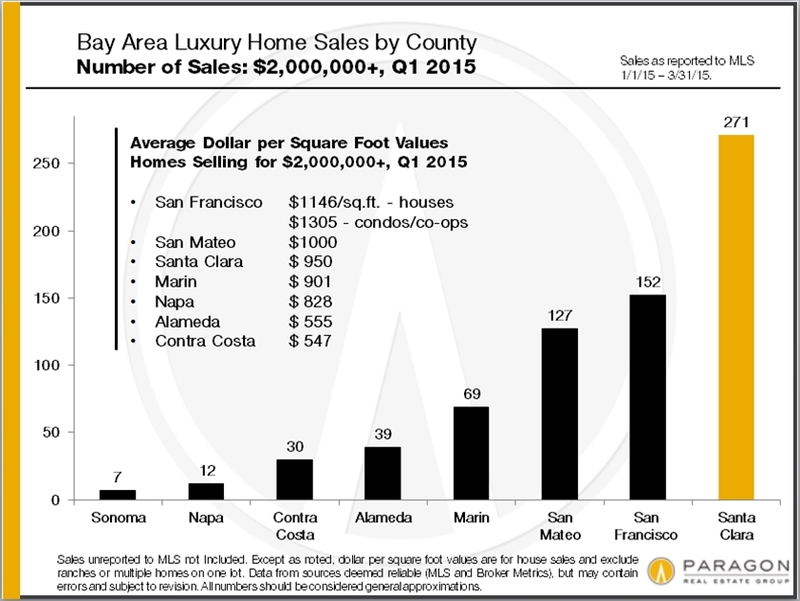 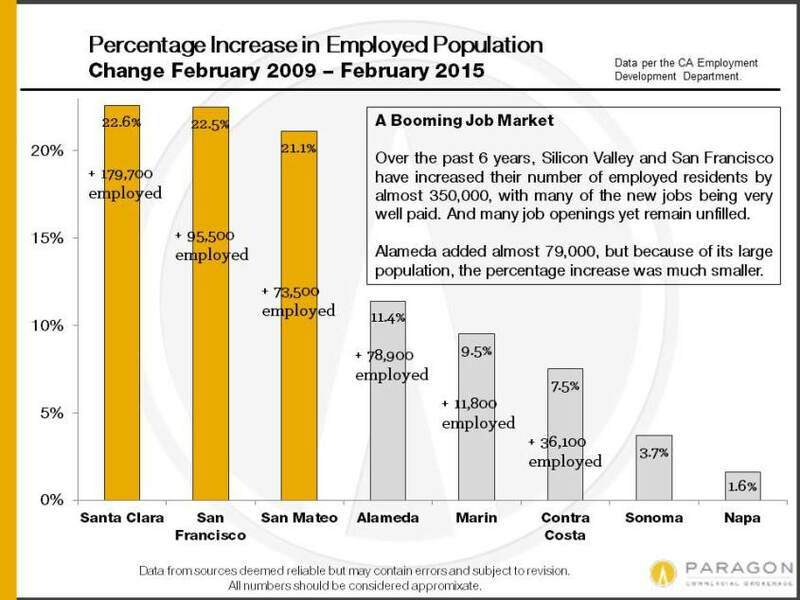 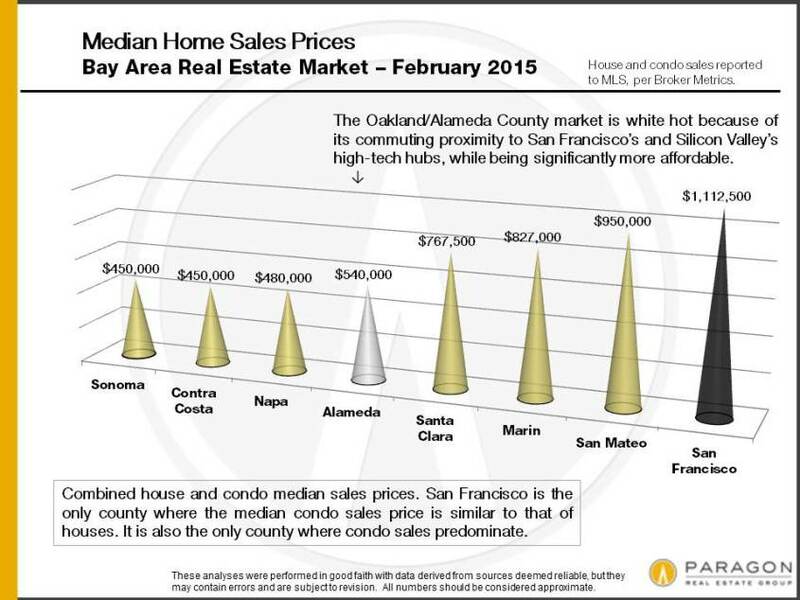 The higher priced counties, led by San Francisco and San Mateo, saw the largest dollar increases in median prices since 2011 – $400,000 to $500,000 – but counties rebounding from the distressed property crisis often experienced the biggest percentage jumps. 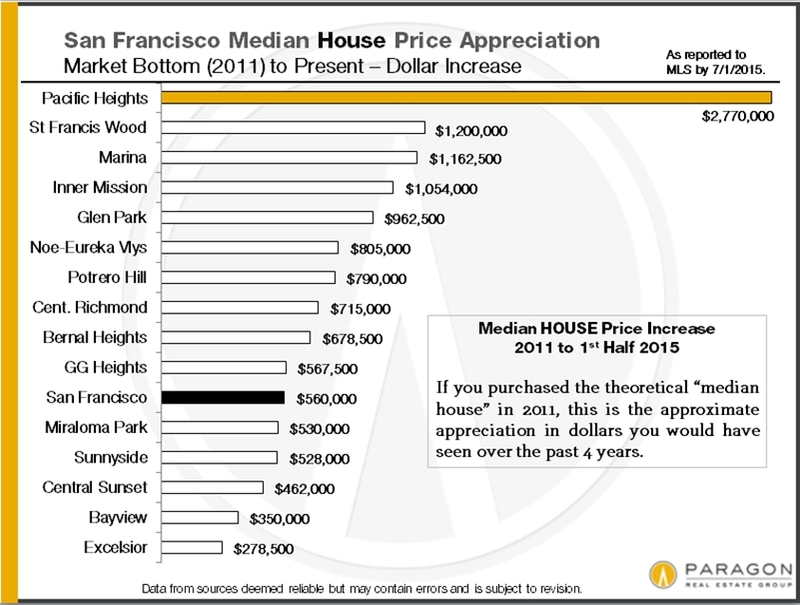 The city of Oakland, benefiting from both the decline in distressed sales and being the closest, most affordable option to high San Francisco housing prices saw by far the largest percentage increase: 133%. 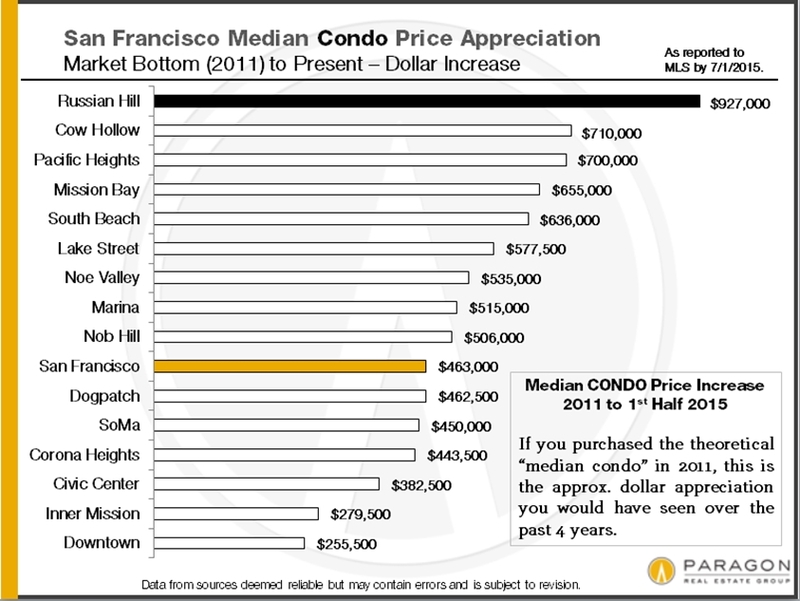 Note that median prices within the city are also affected by a variety of factors beyond simple increases in fair market value. 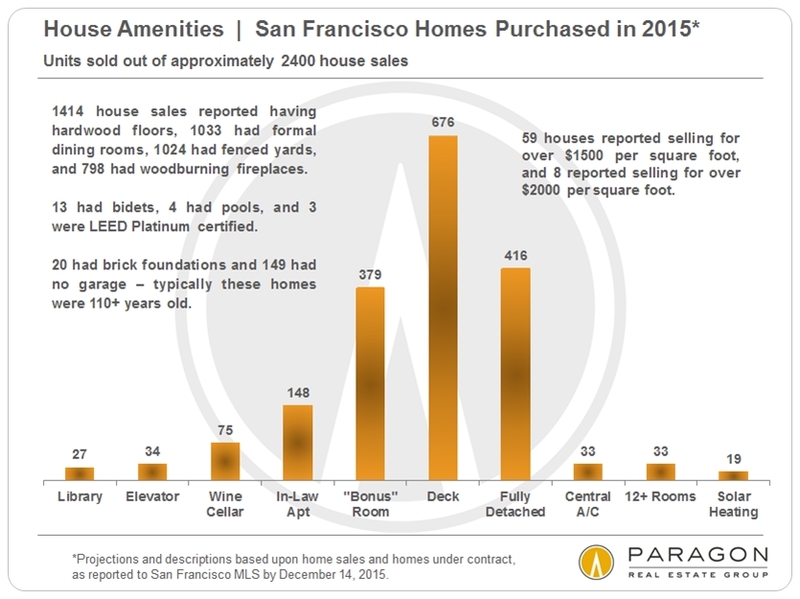 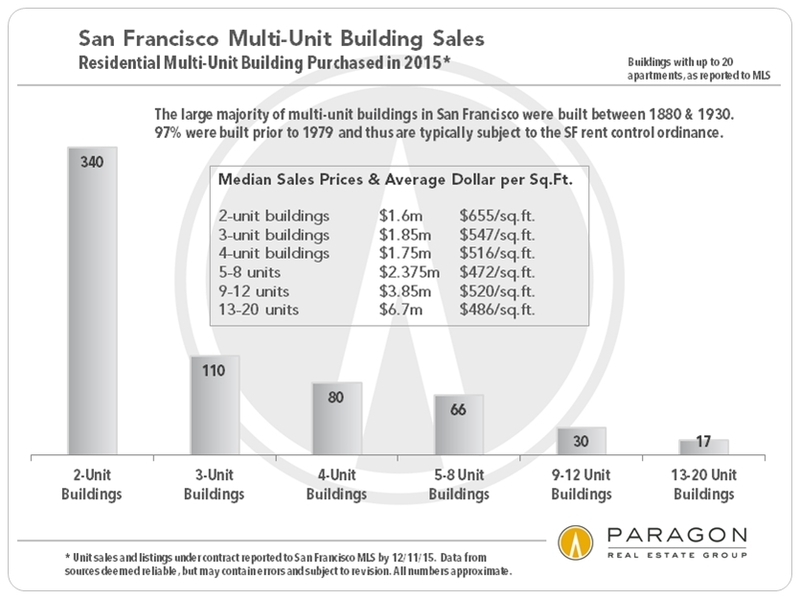 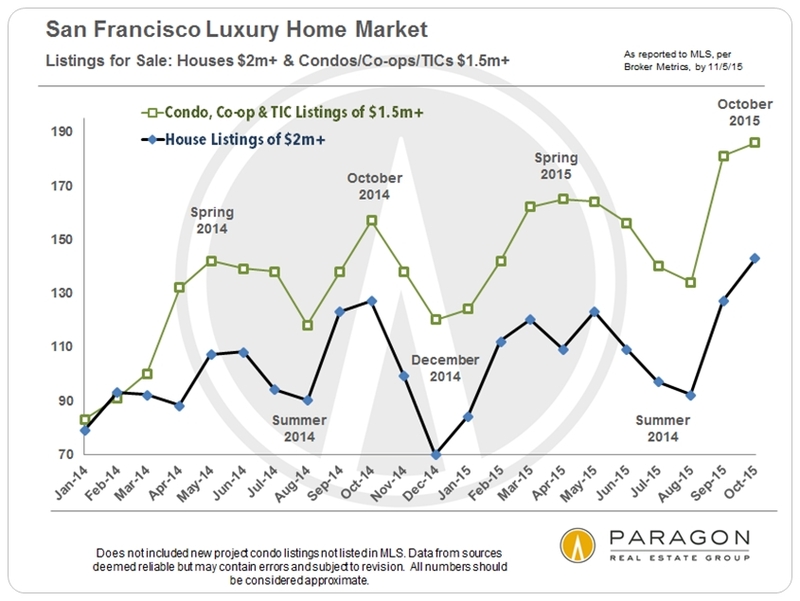 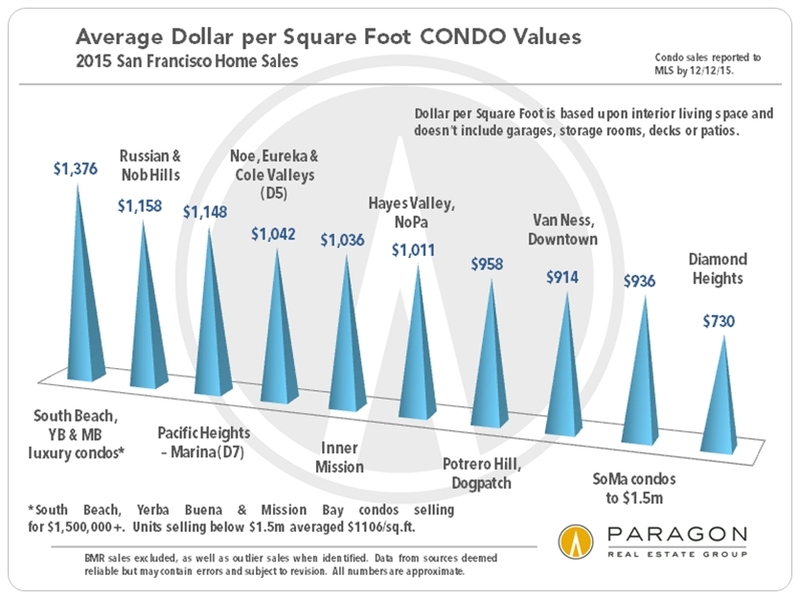 We’re almost positive that we recommended that everyone buy at least one median-priced Pacific Heights mansion in 2011 at the bargain-basement price of $3,225,000. 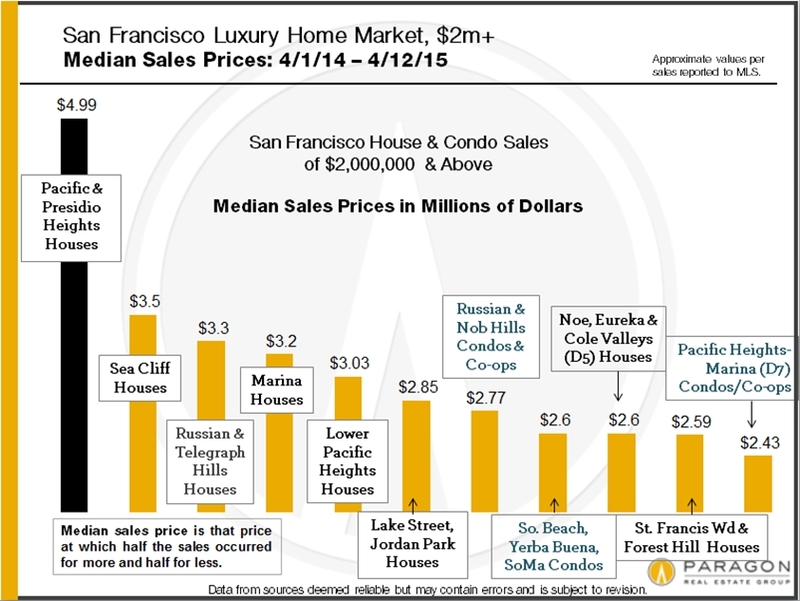 If you had followed this (imaginary) advice, your home would have appreciated by $2.77 million. 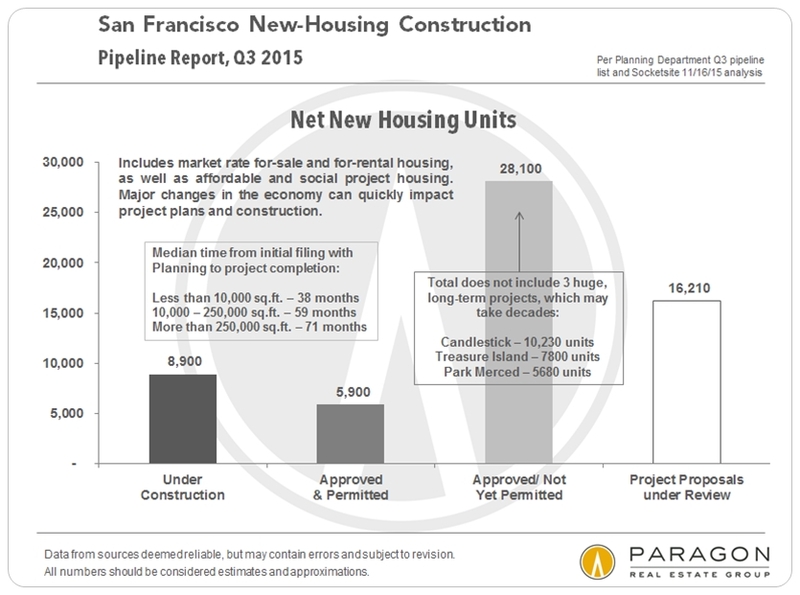 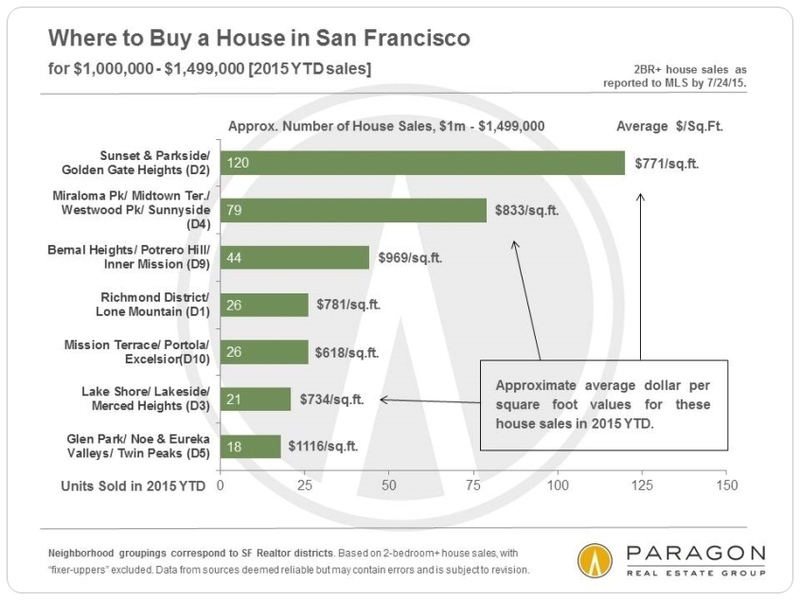 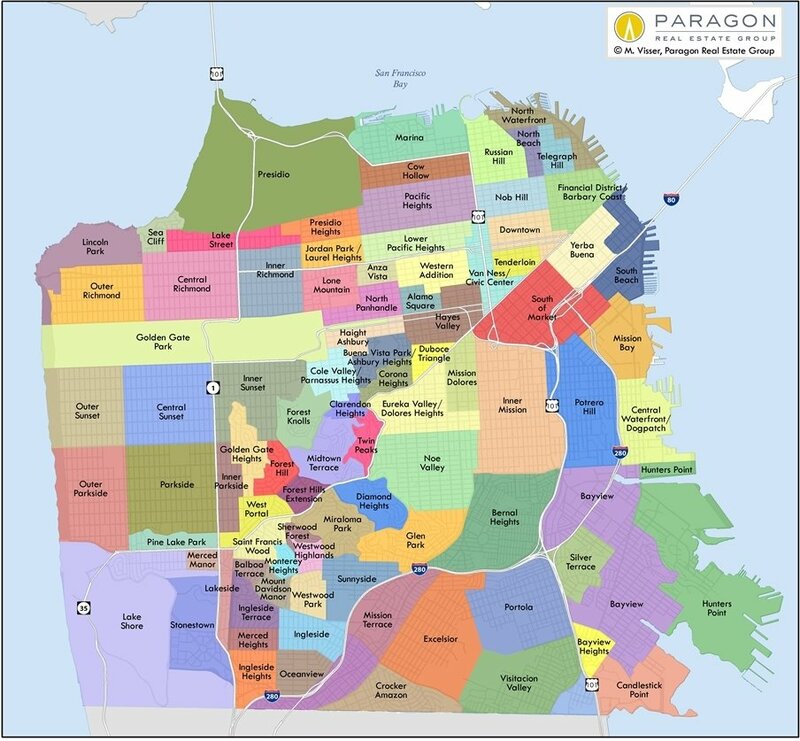 However, on a pure return on investment basis, you would have done better to snap up a few median-priced houses in the Mission, which appreciated by an incredible 143%. 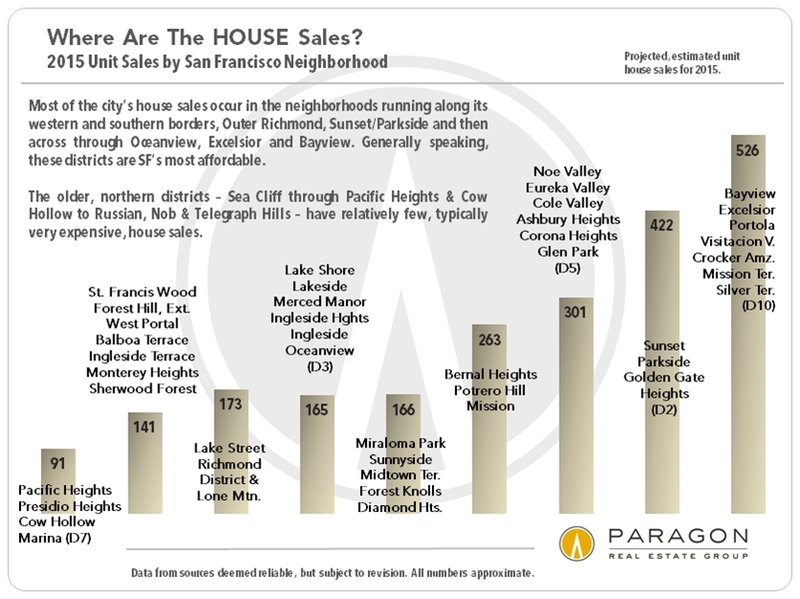 It should be noted that both of these neighborhoods have comparatively few house sales as compared to, say, the Sunset or Bernal Heights. 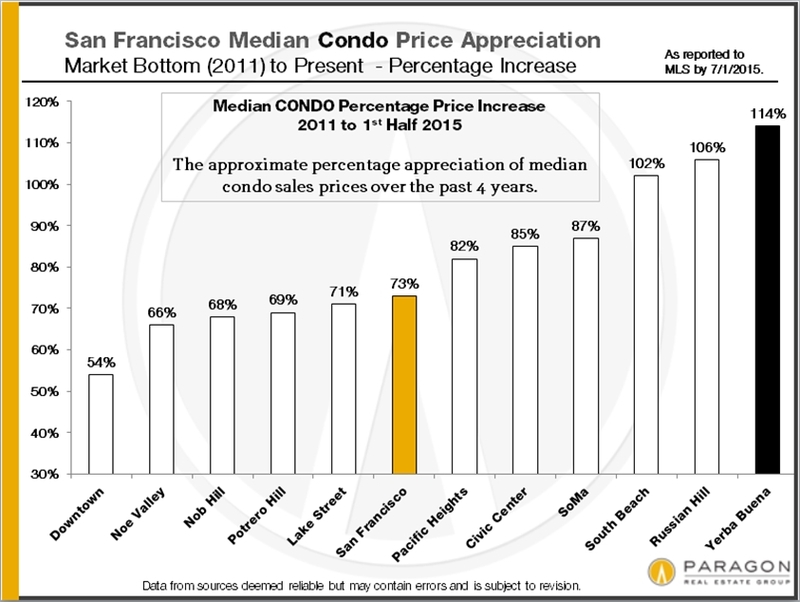 Low supply is often one factor in high appreciation rates. 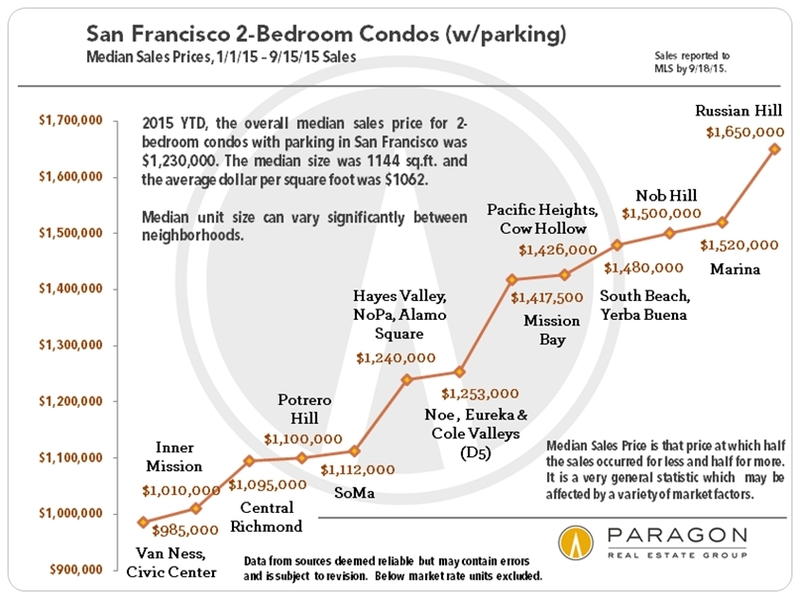 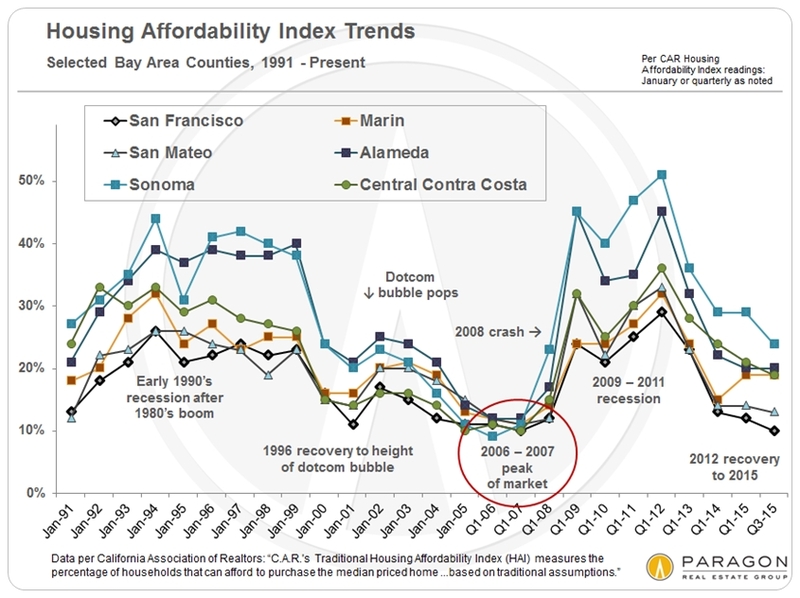 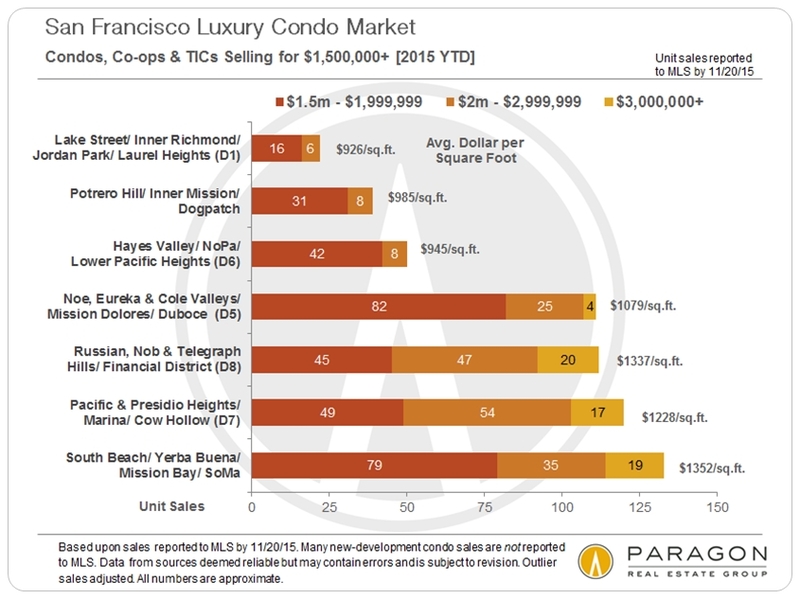 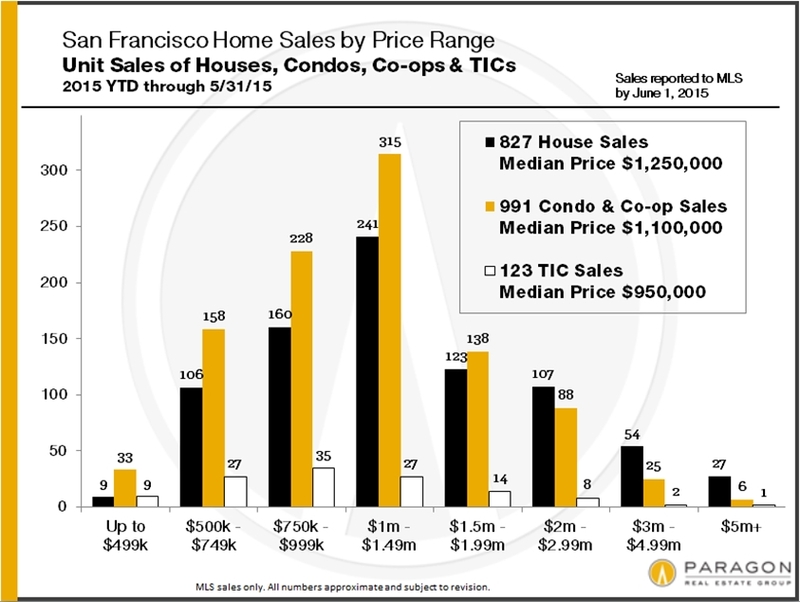 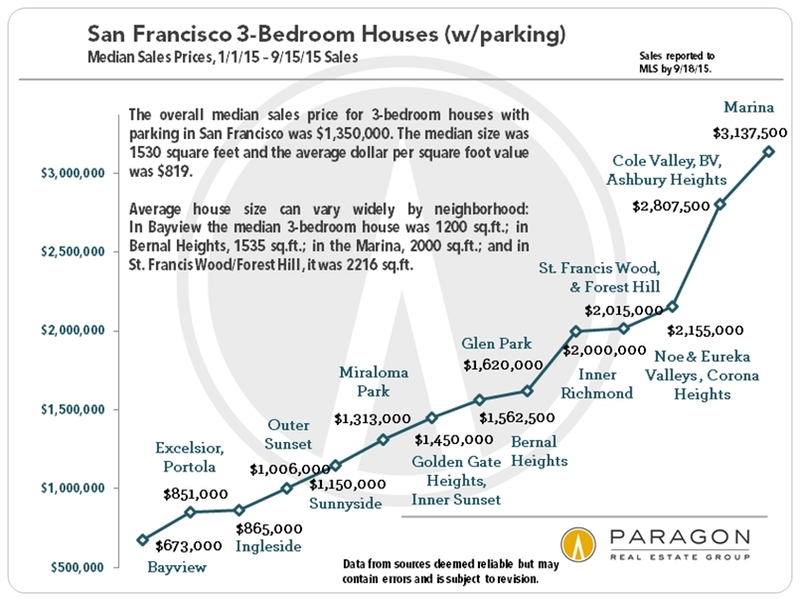 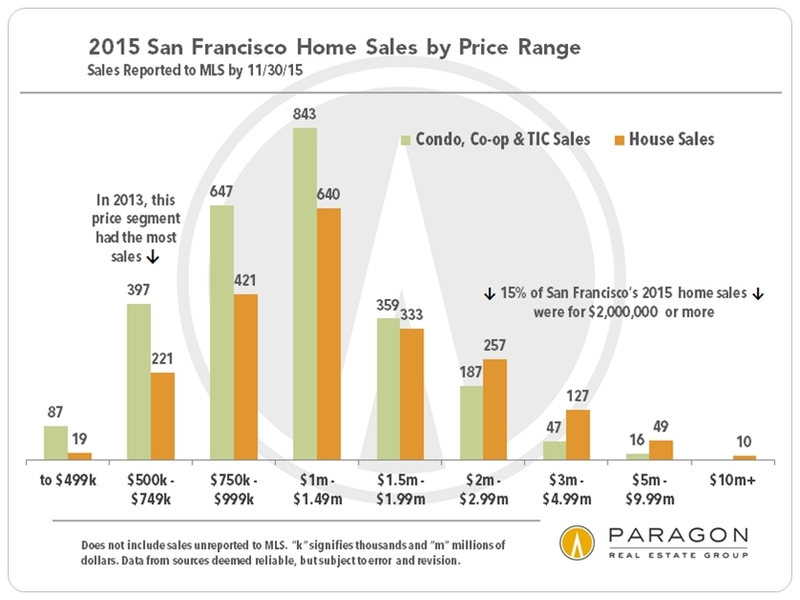 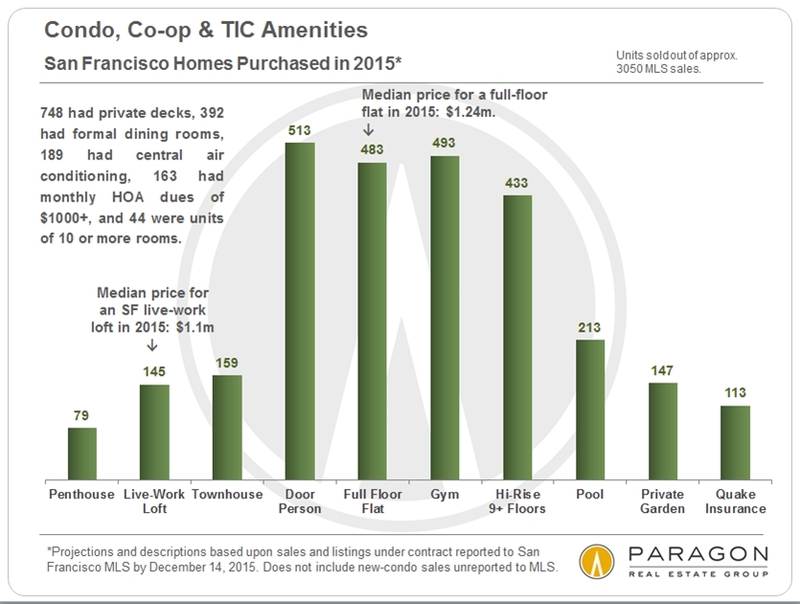 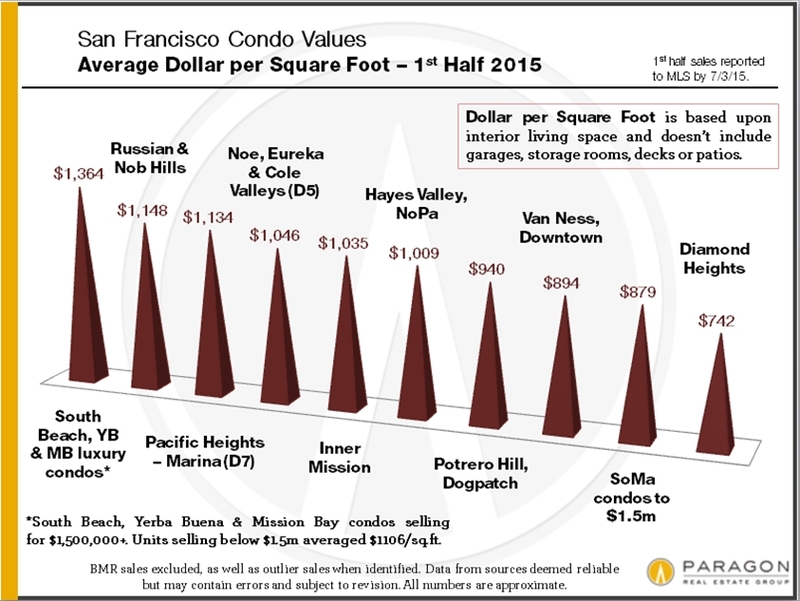 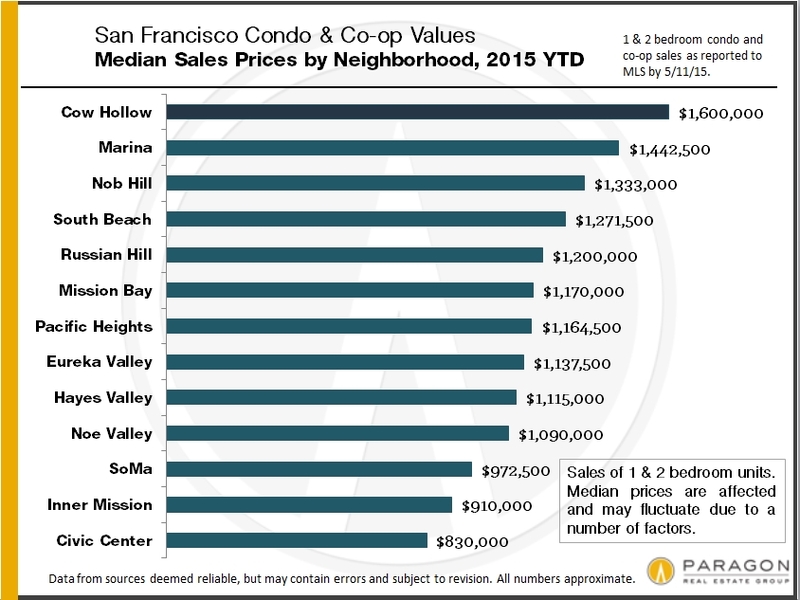 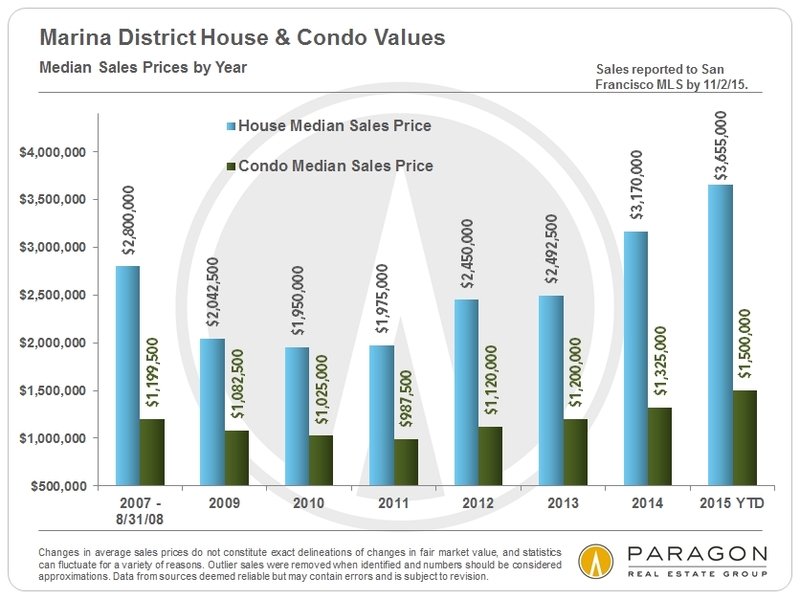 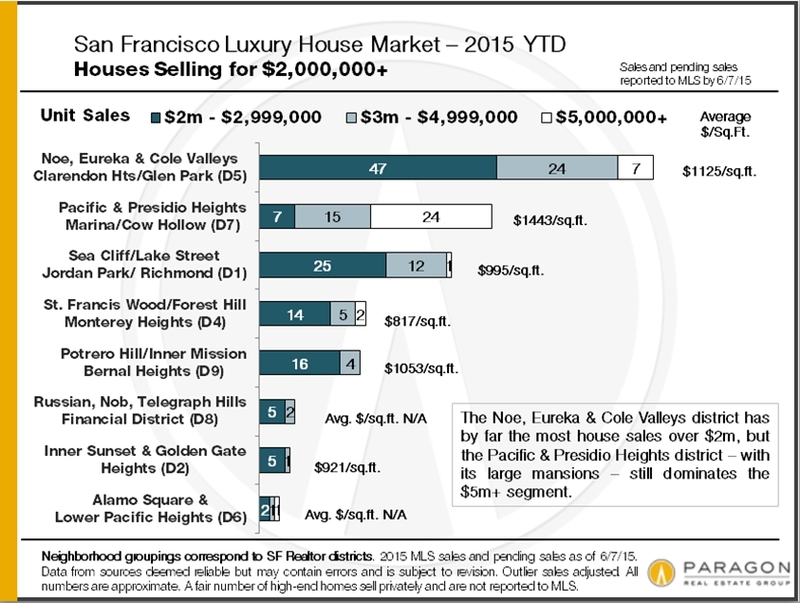 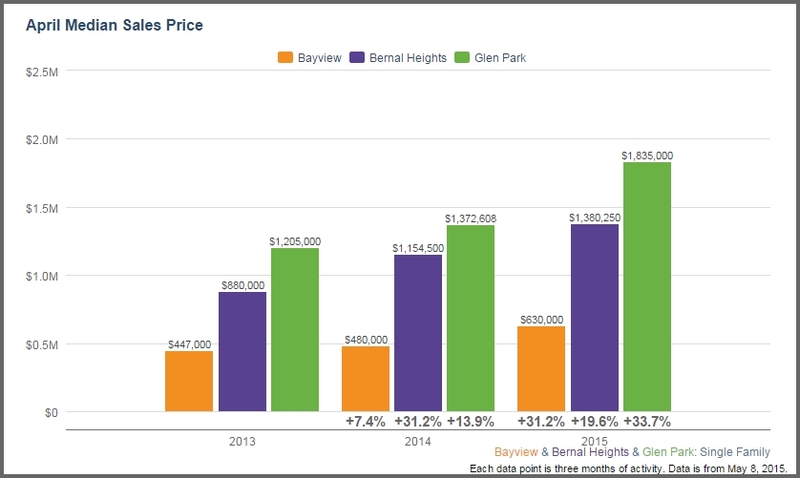 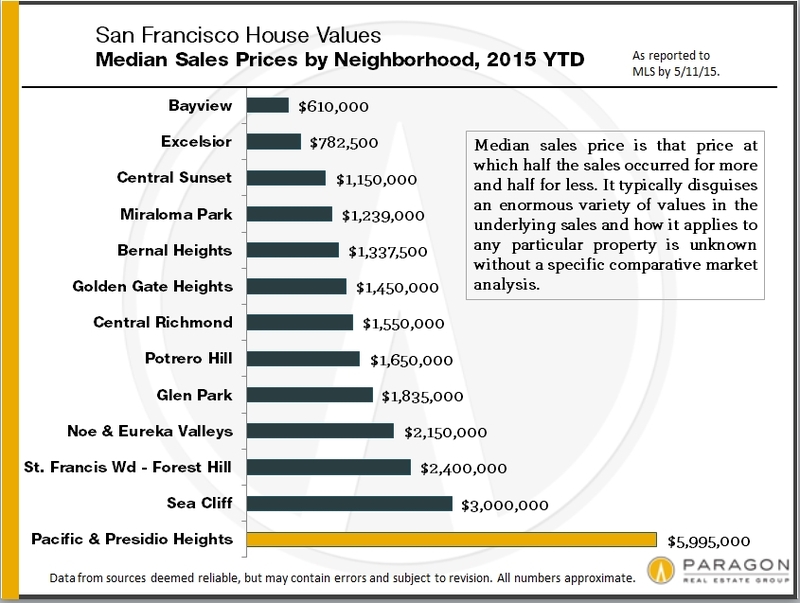 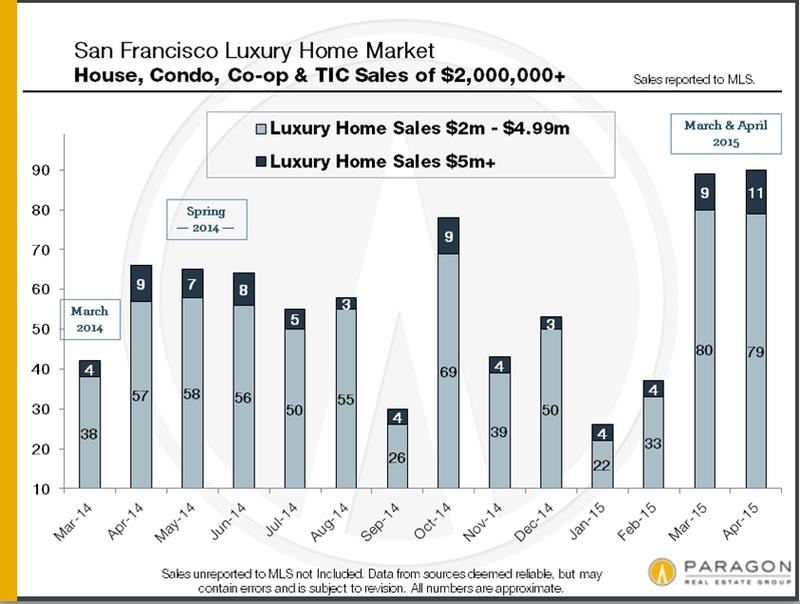 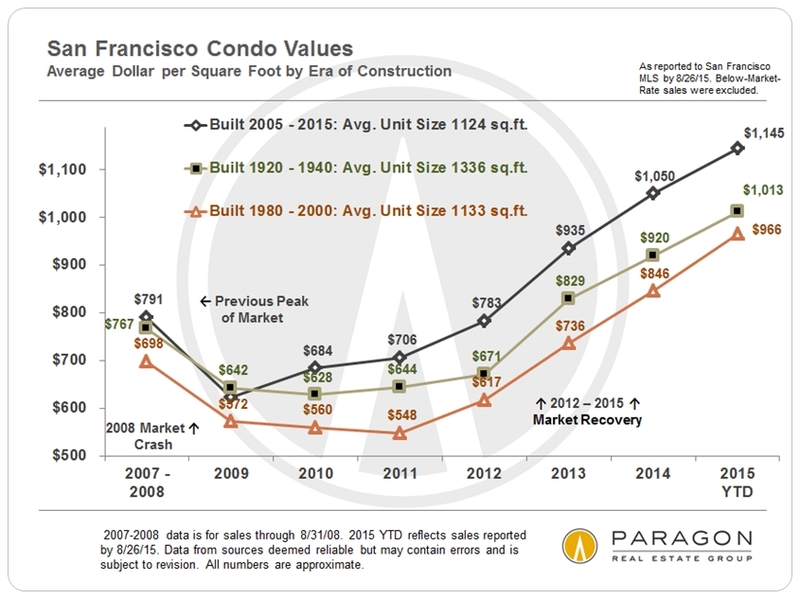 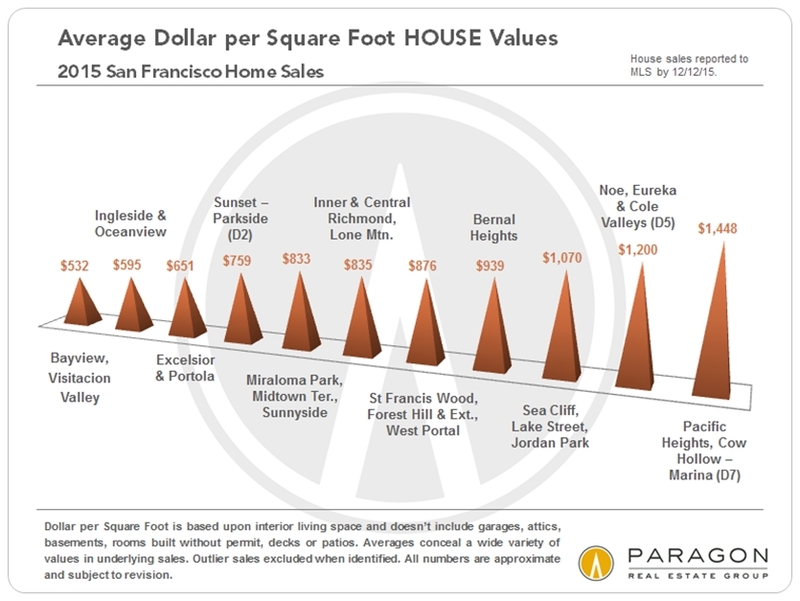 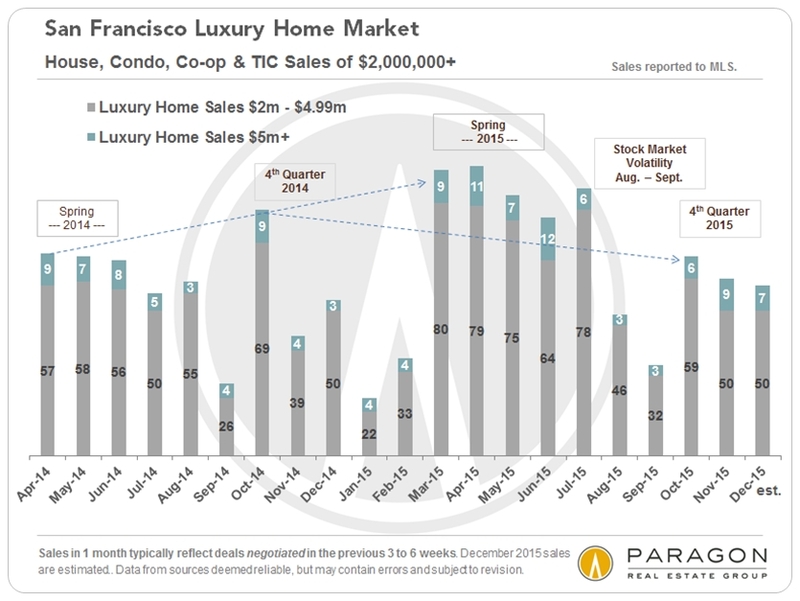 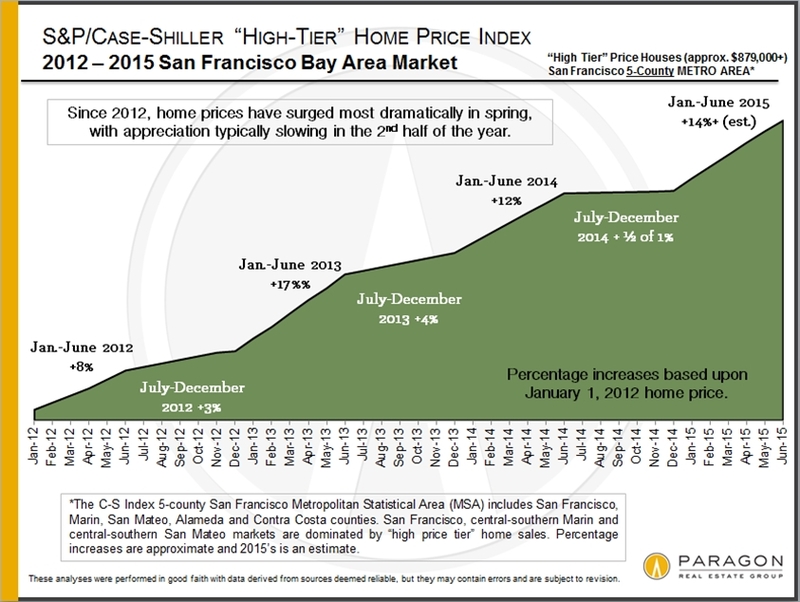 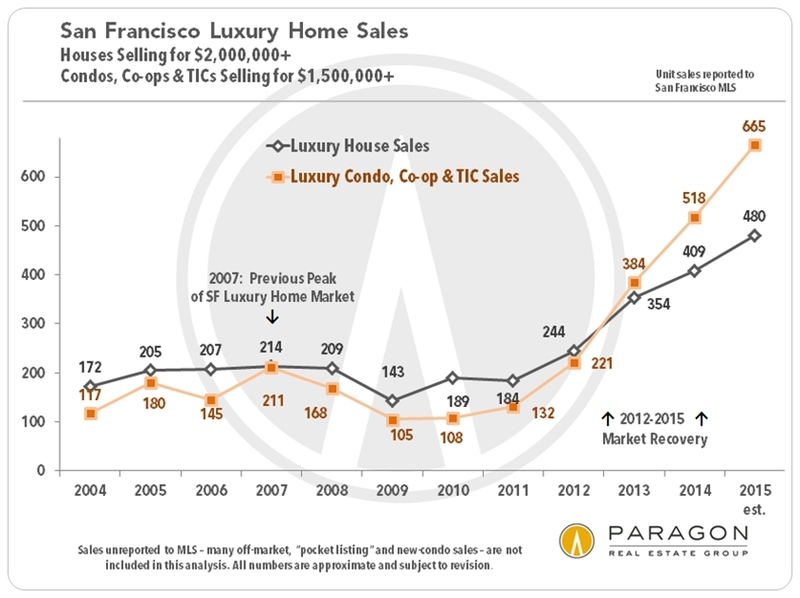 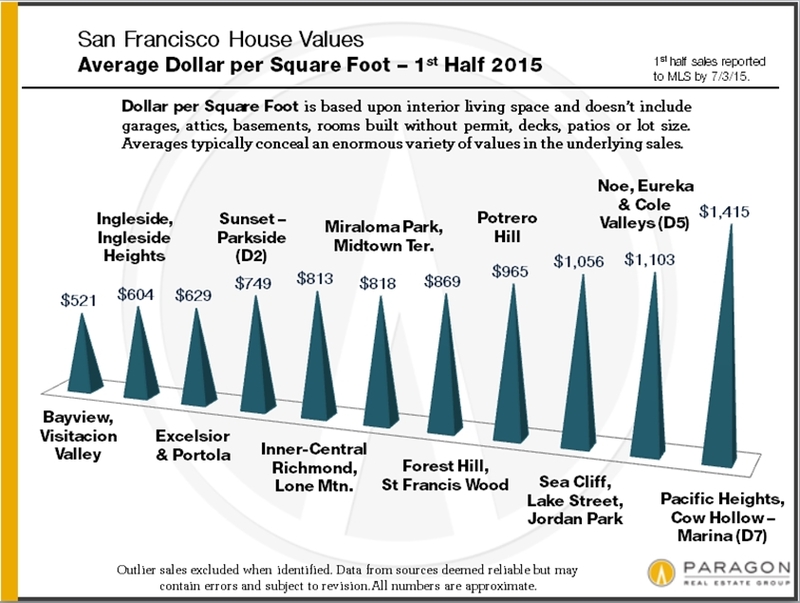 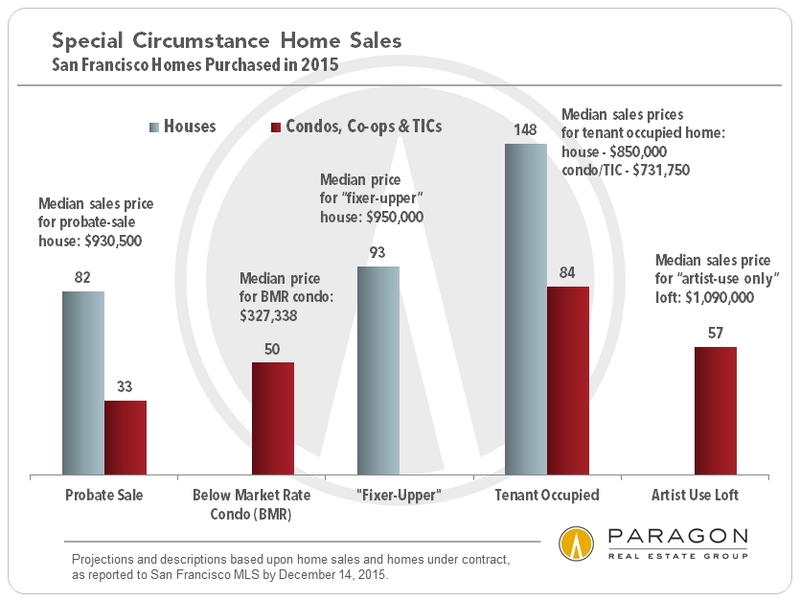 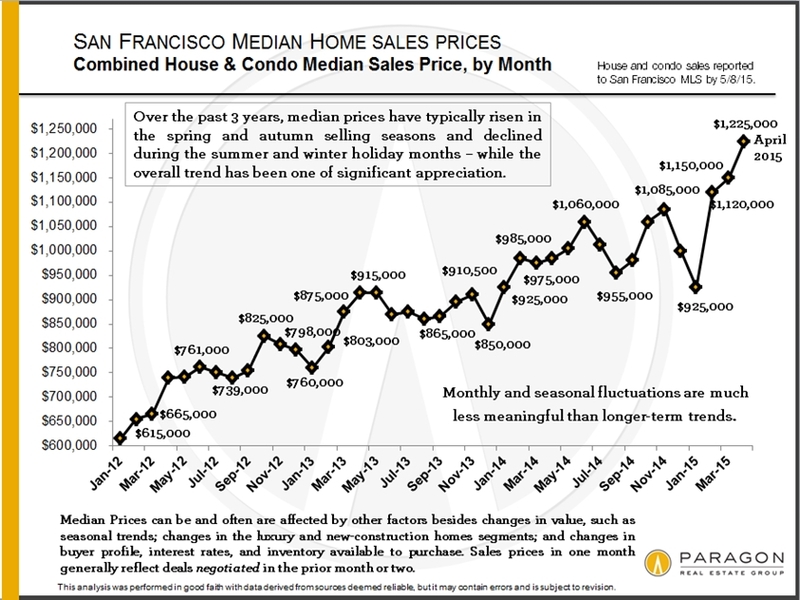 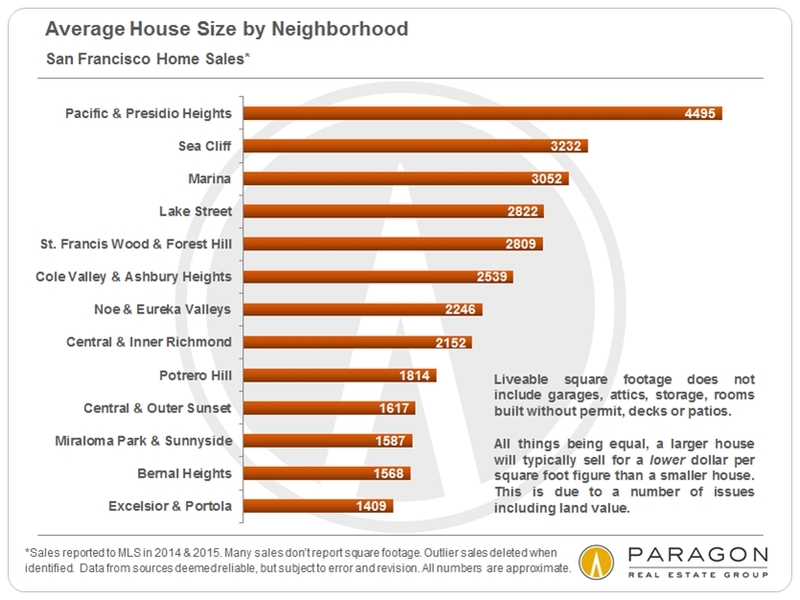 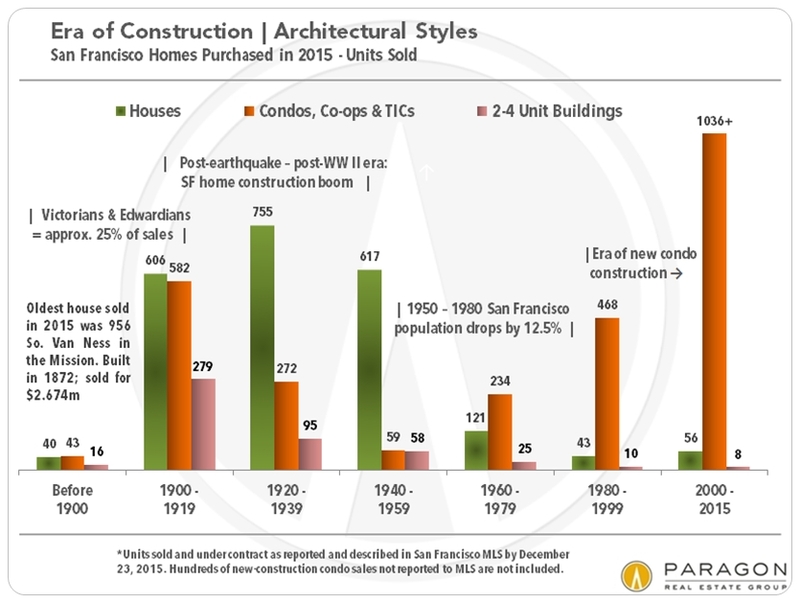 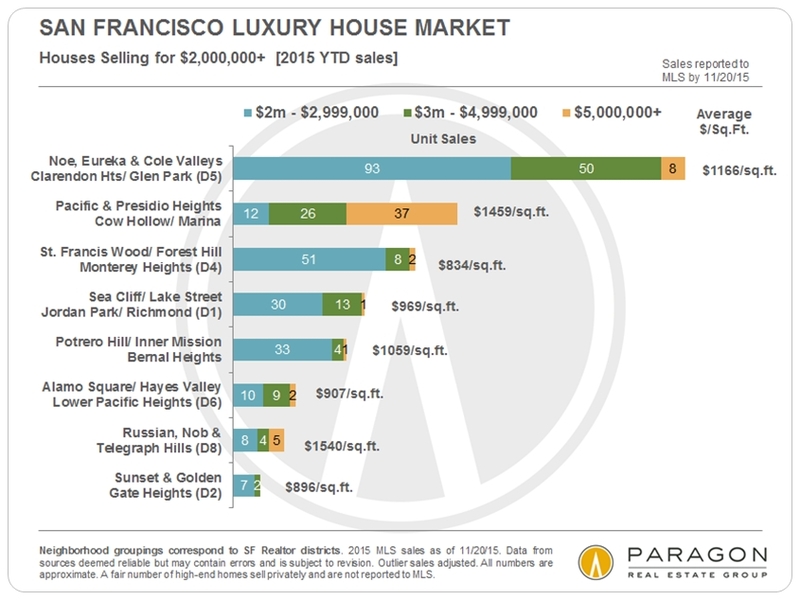 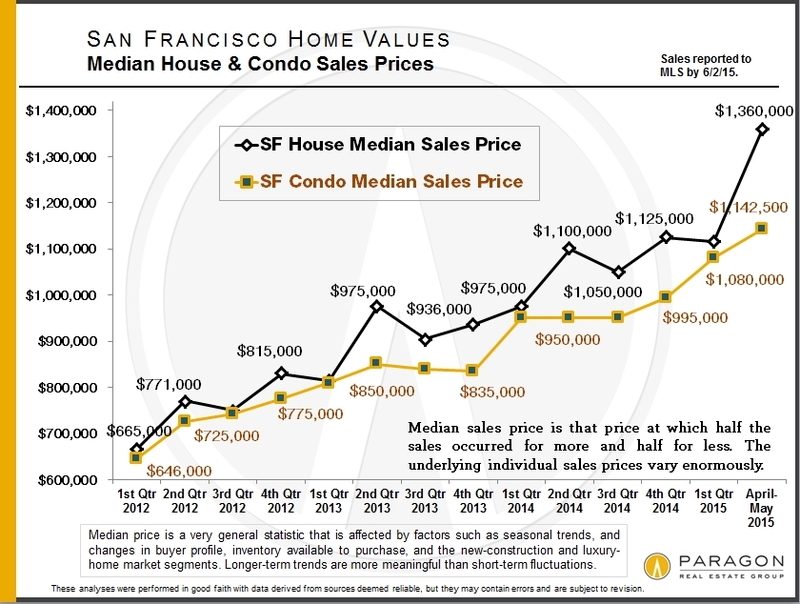 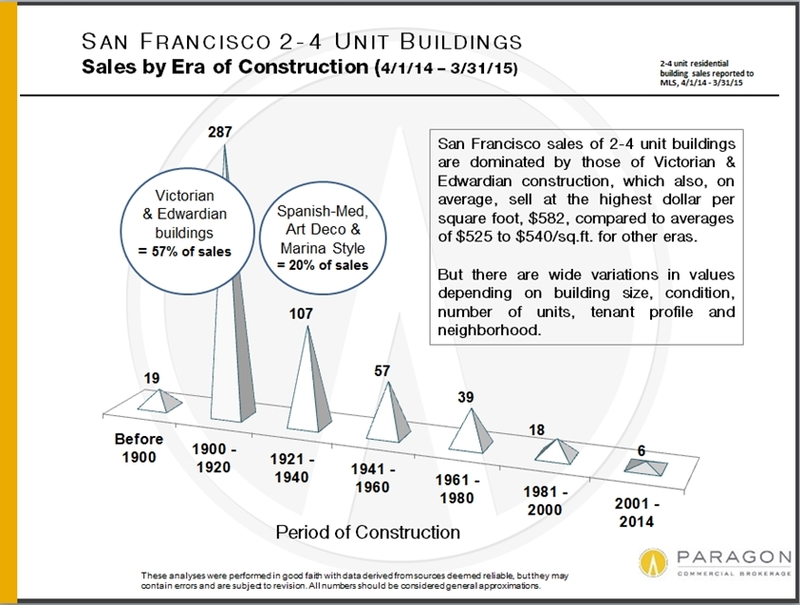 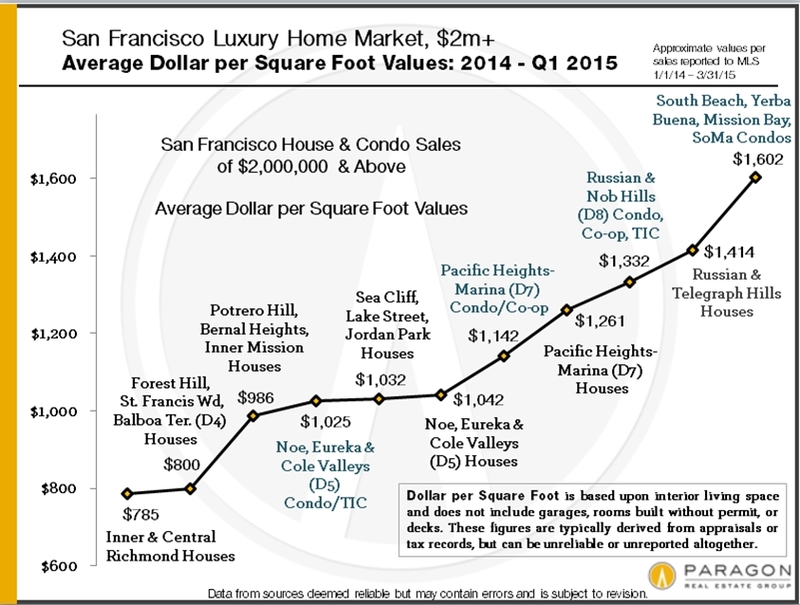 For condos, Russian Hill led the way in dollar median price appreciation and Yerba Buena was tops in percentage price increase since the bottom of the market in 2011. 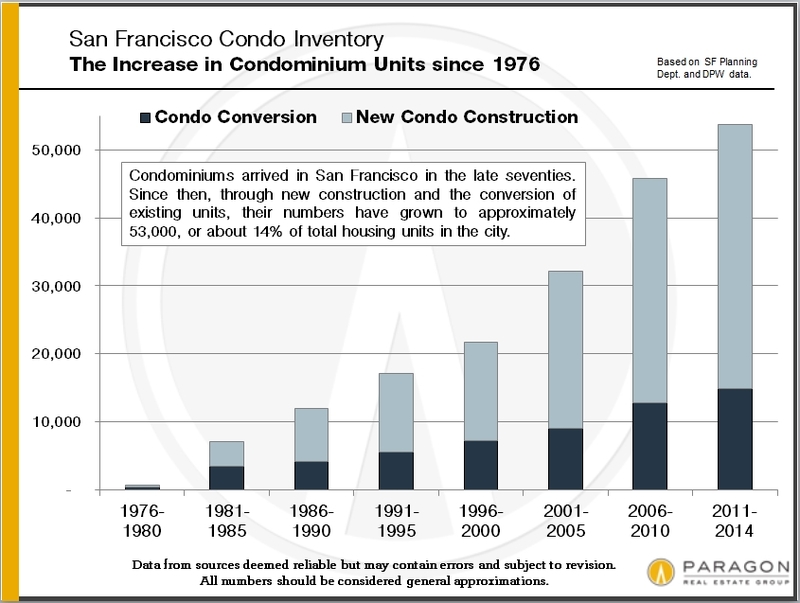 Over the past 4 years, houses have appreciated a bit more than condos in the city, 81% to 73%, and that is probably due to the fact that houses are becoming the scarcer commodity: While thousands of new condos are now being built each year, new house construction can usually be counted on 2 or 3 hands. 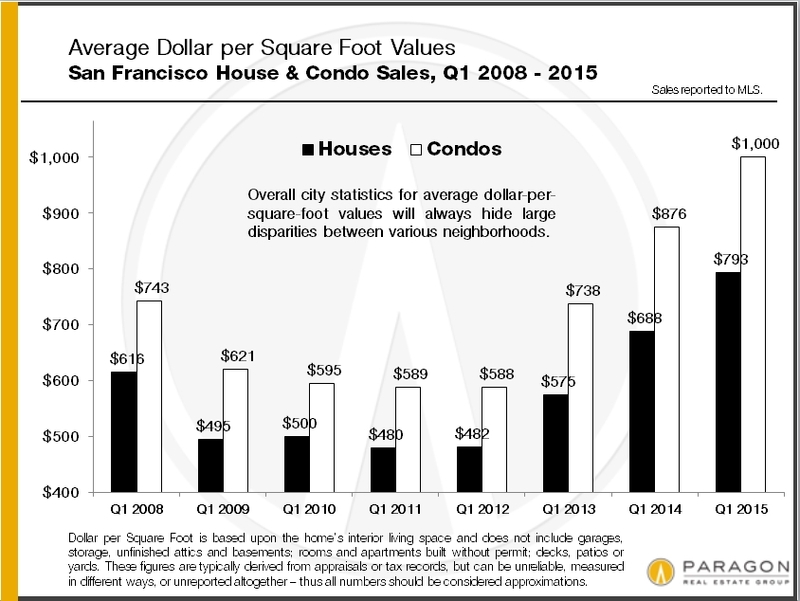 Increasing average dollar per square foot values have been breaking records in neighborhoods throughout San Francisco for the last 2 years. 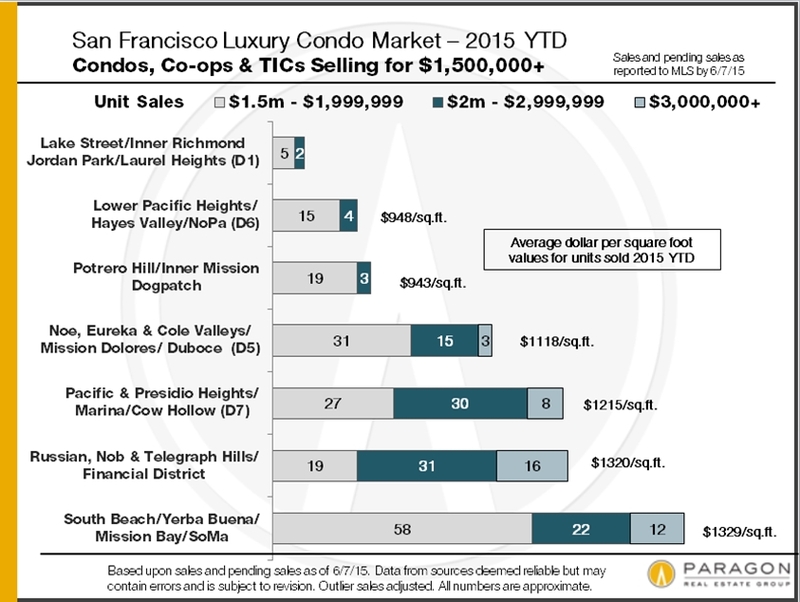 Some of the surge in condo values is explained by the many recently built luxury condo projects – which have been selling at premium dollar per square foot prices – that have been sprouting up around the city. 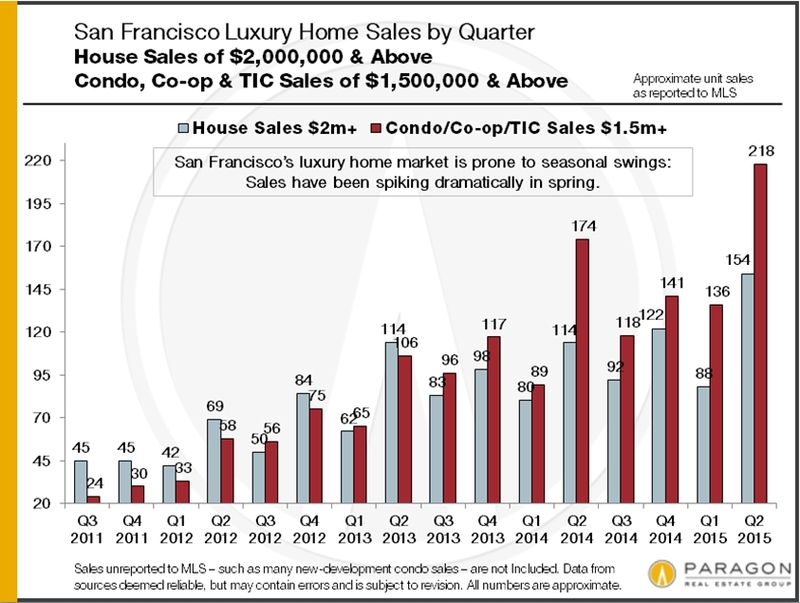 Sales of higher-end houses and condos have been soaring in the city and hit by far their highest number ever in the second quarter. 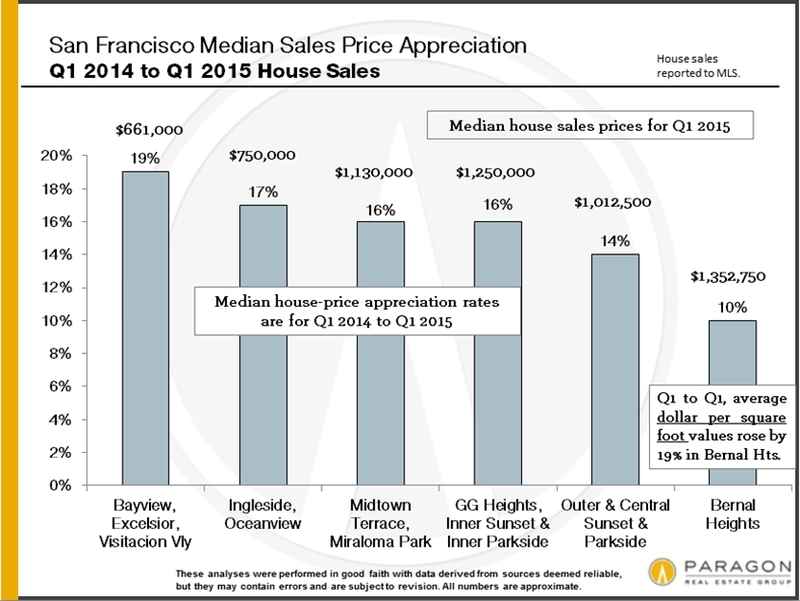 Big jumps in expensive home sales are an important factor behind increases in the overall median sales price. 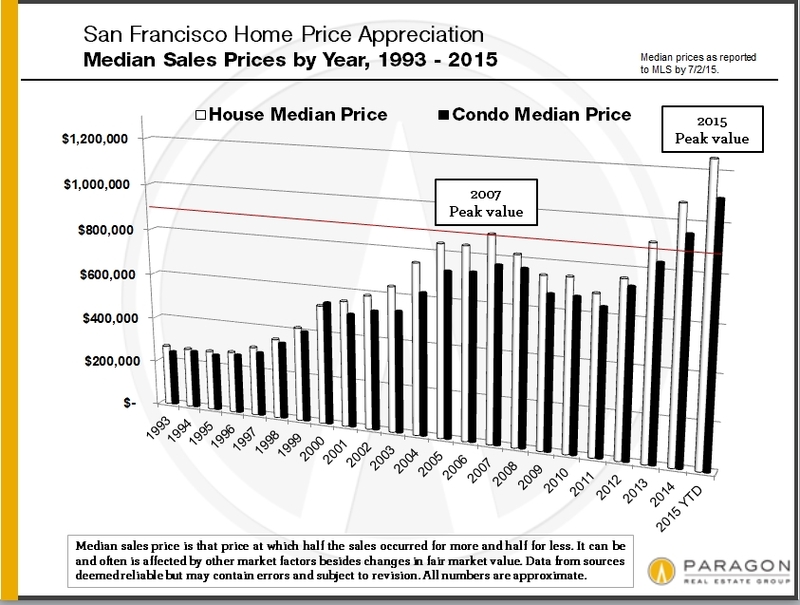 The short-term and long-term appreciation charts above are self-explanatory. 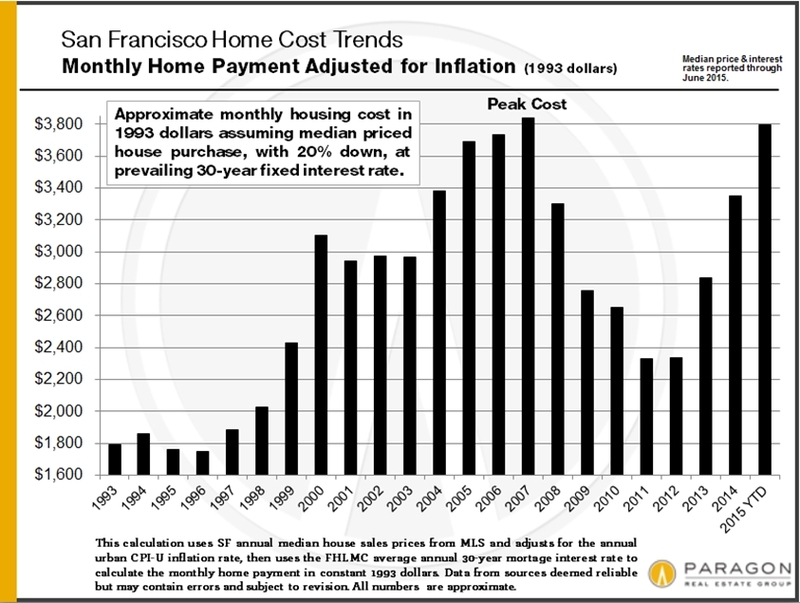 The Home Cost Trends chart reflects a very approximate calculation of monthly home payment costs (principal, interest, property tax and insurance) adjusted for inflation – i.e. 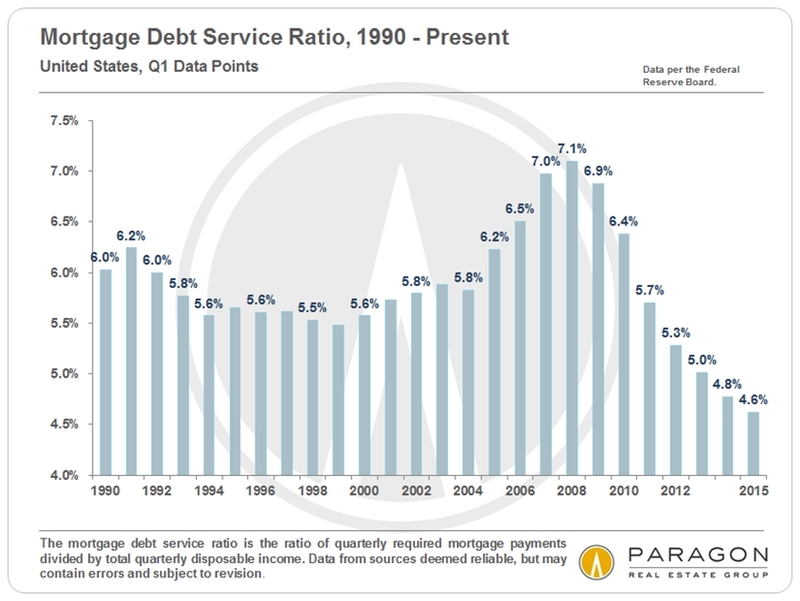 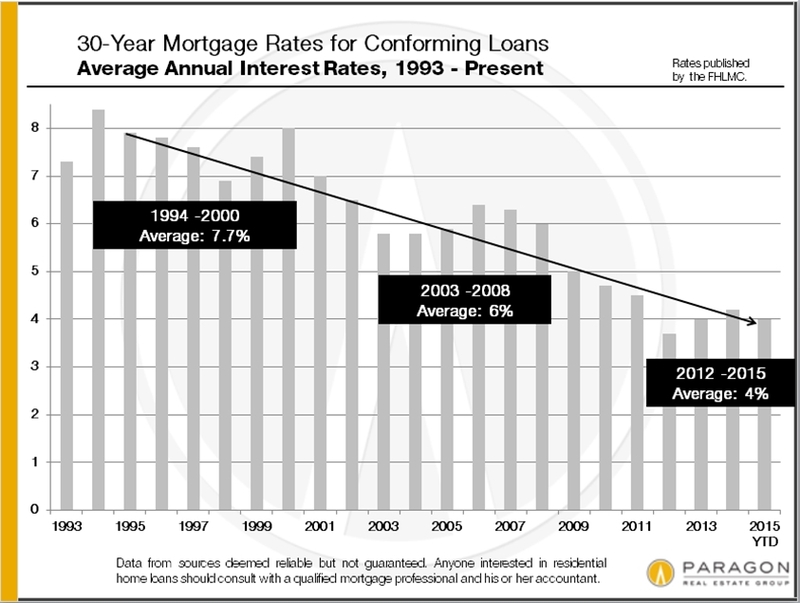 in 1993 dollars – using annual median house sales prices, average annual 30-year interest rates, and assuming a 20% downpayment. 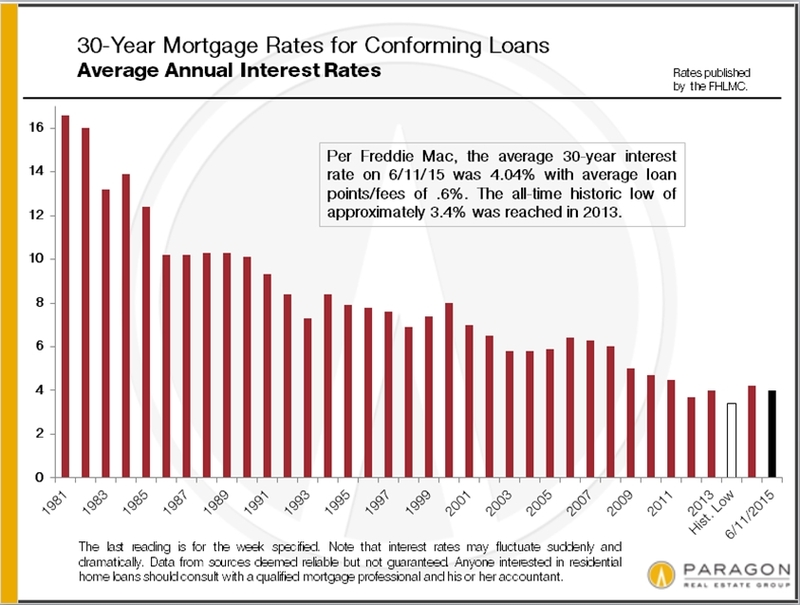 The average annual compounding CPI inflation rate fluctuated, but averaged approximately 2.4% over the period, and average annual mortgage rates fluctuated from 8.4% to 3.7% (see chart further below), which had a huge impact on financing costs. 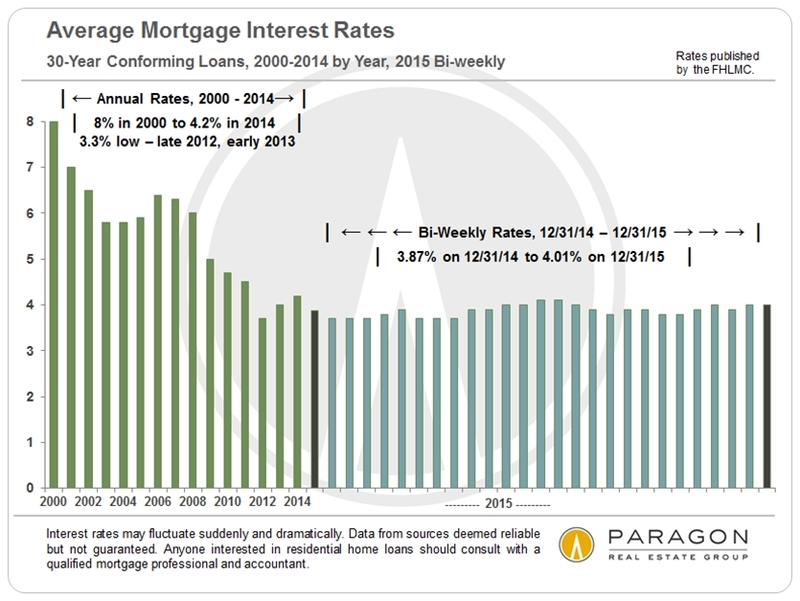 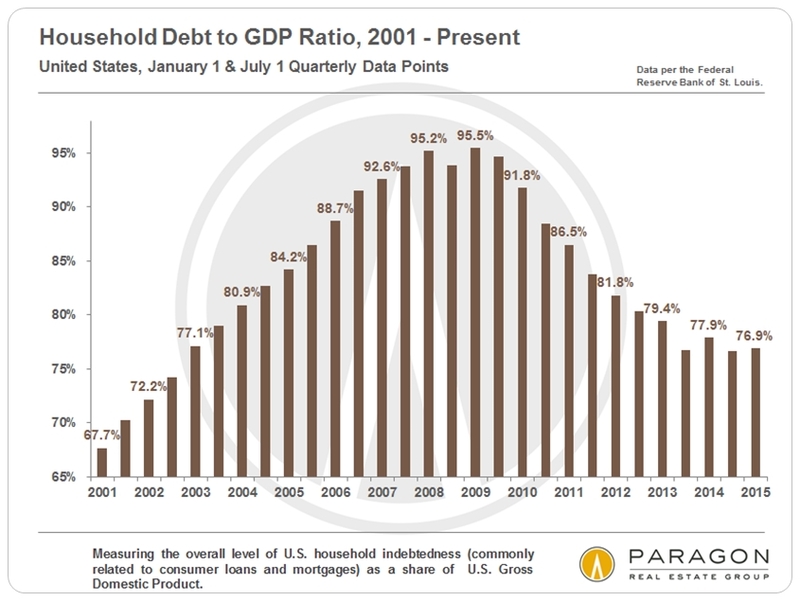 Over the last 4 years, the big decline in interest rates has largely subsidized the increase in home prices. 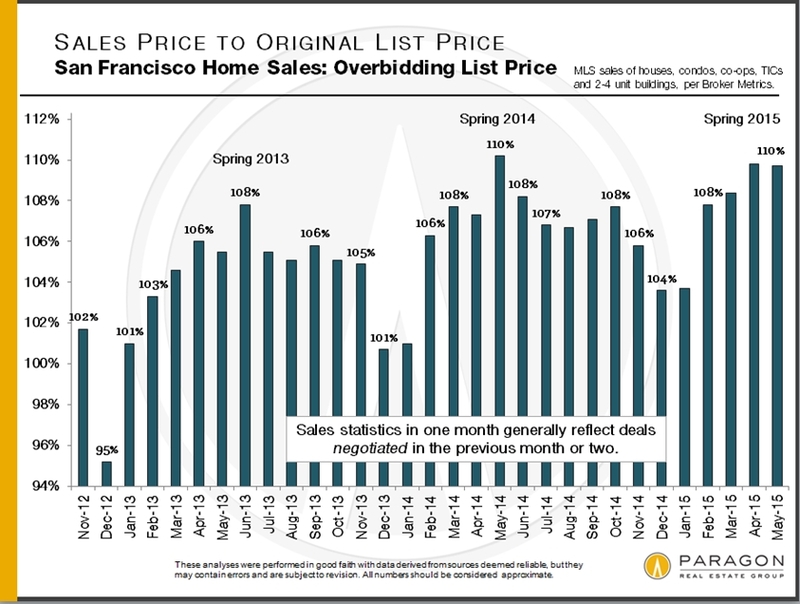 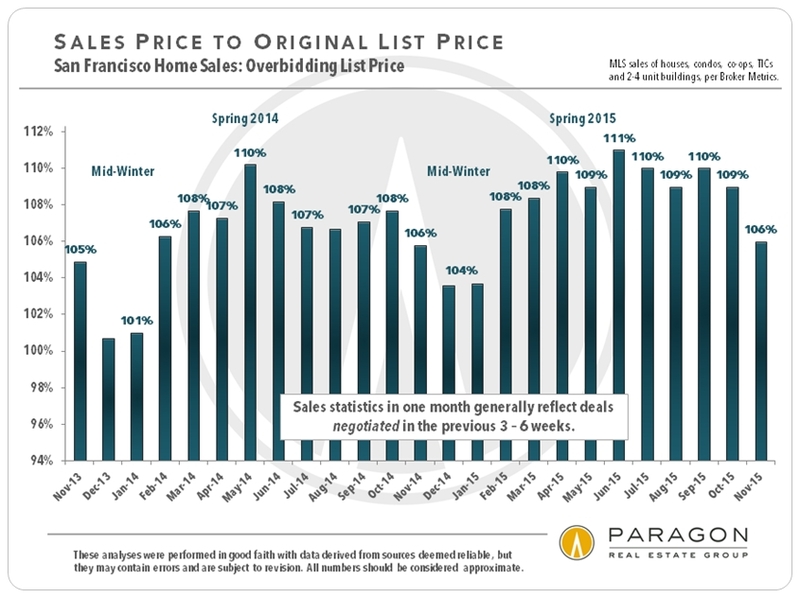 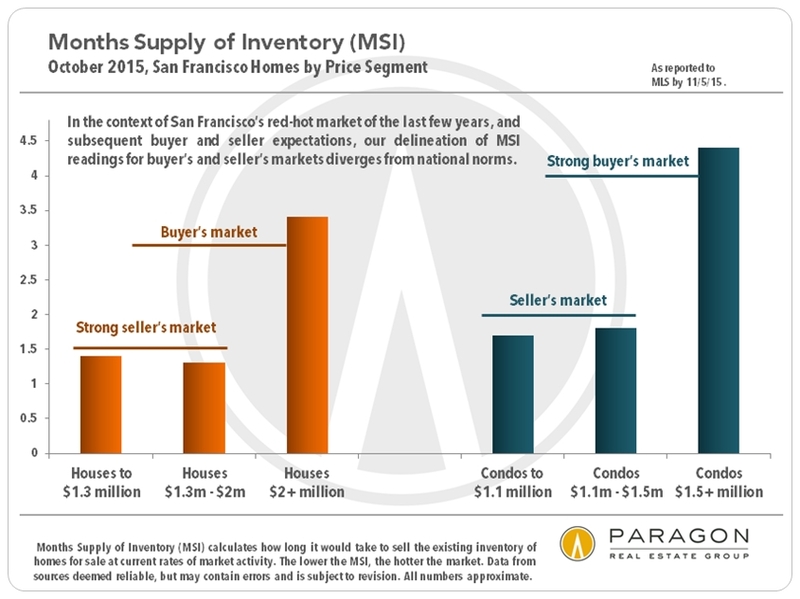 In the 2nd quarter, the vast majority of SF home sales sold without prior price reductions; these sold very quickly, at an astounding average of 14.5% over the original list price – clear indications of a white-hot market. 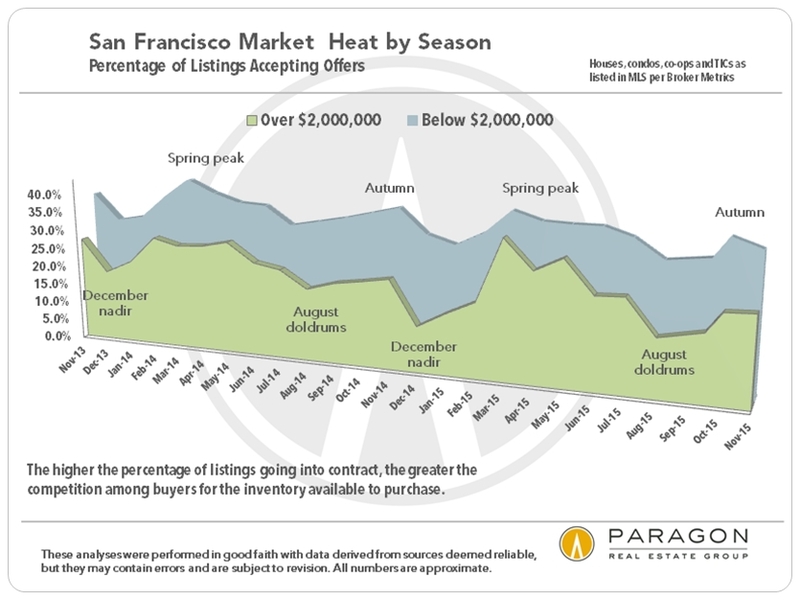 For the past 4 years, spring has been by far the most frenzied selling season of the year, and the market usually cools in summer. 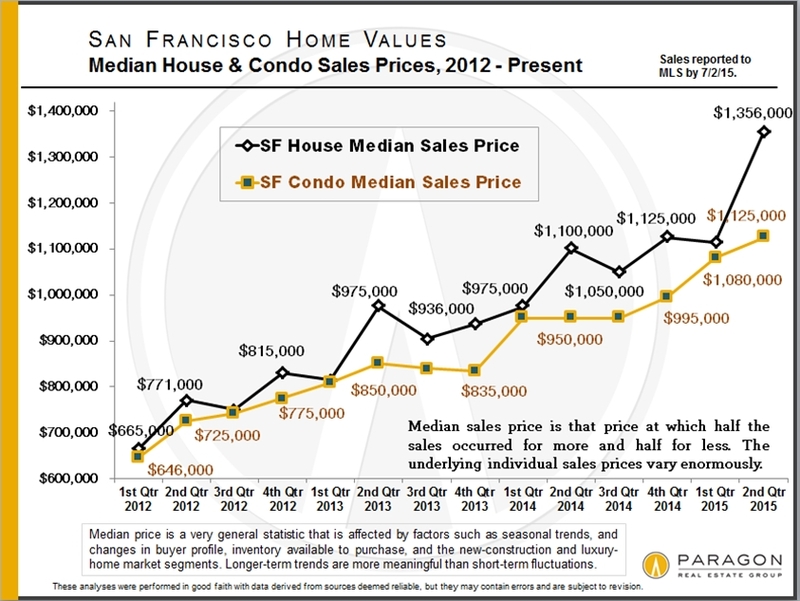 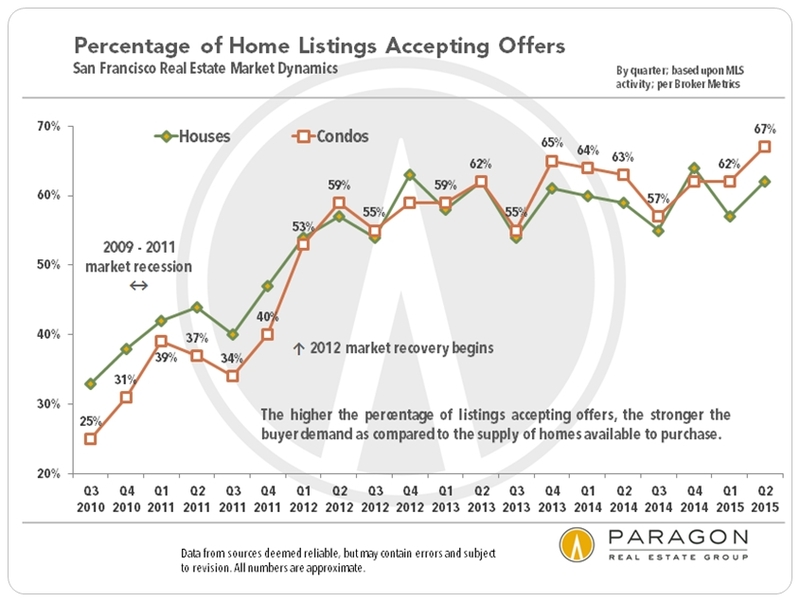 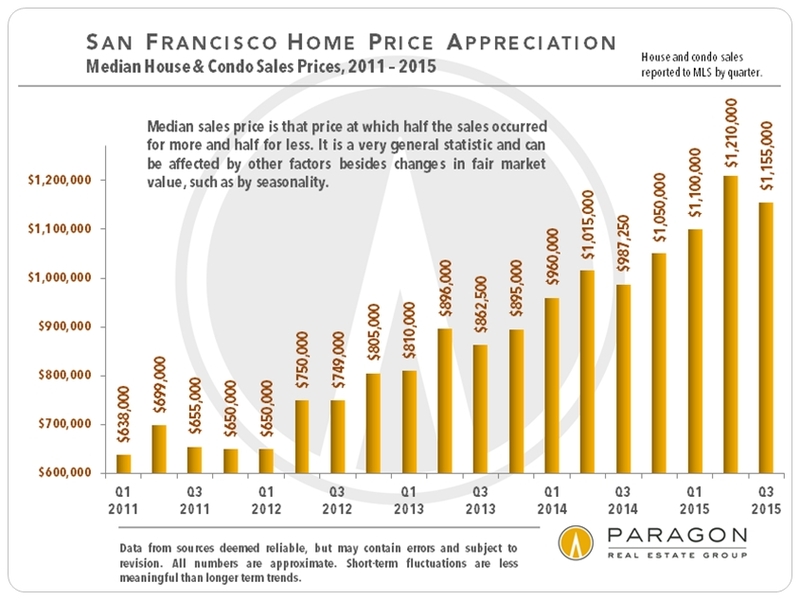 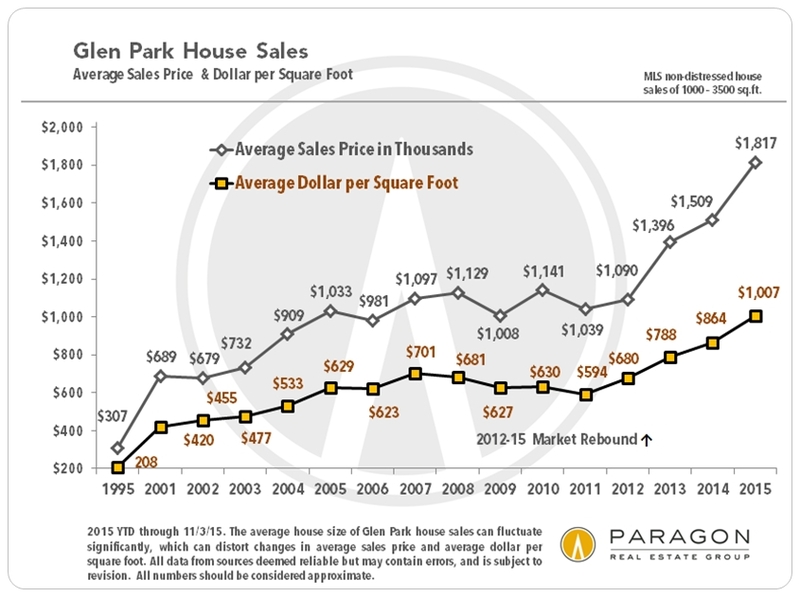 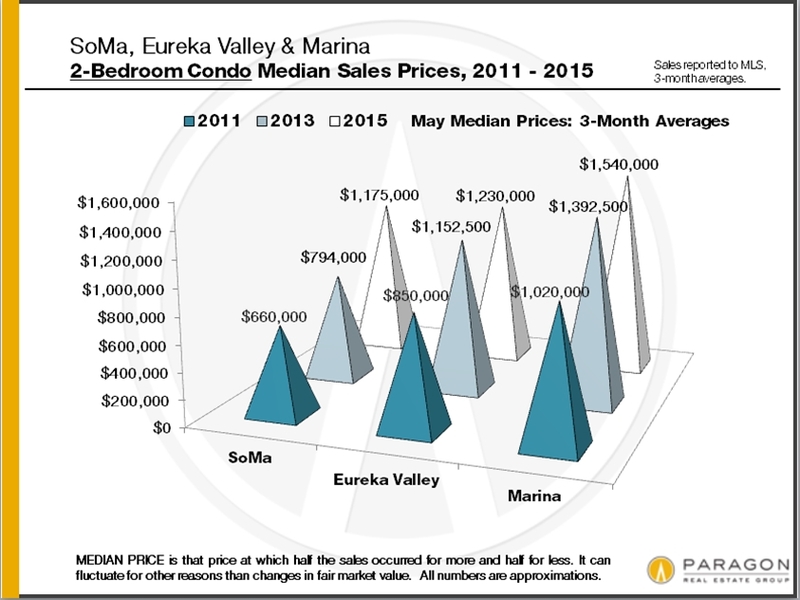 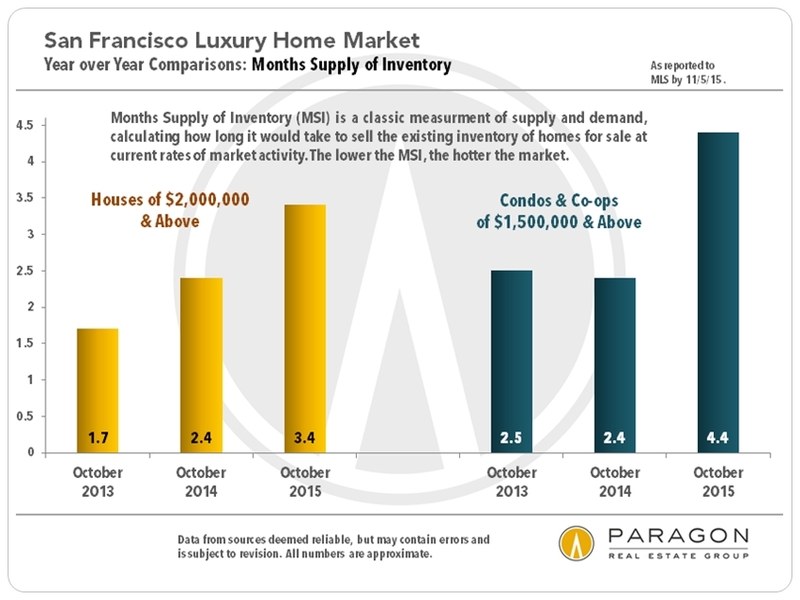 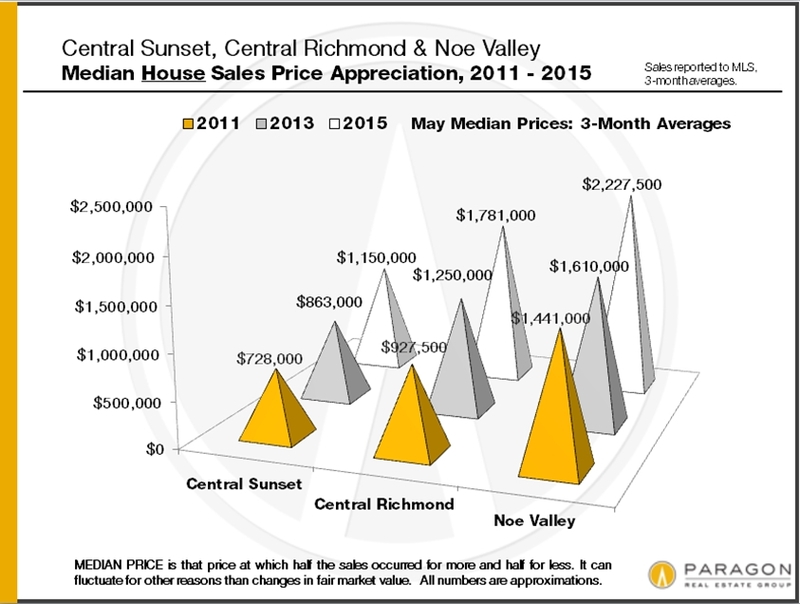 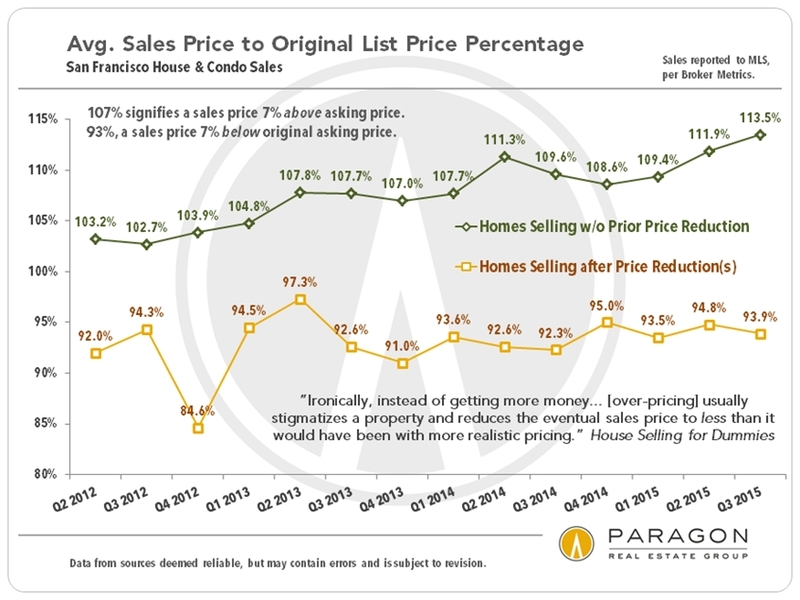 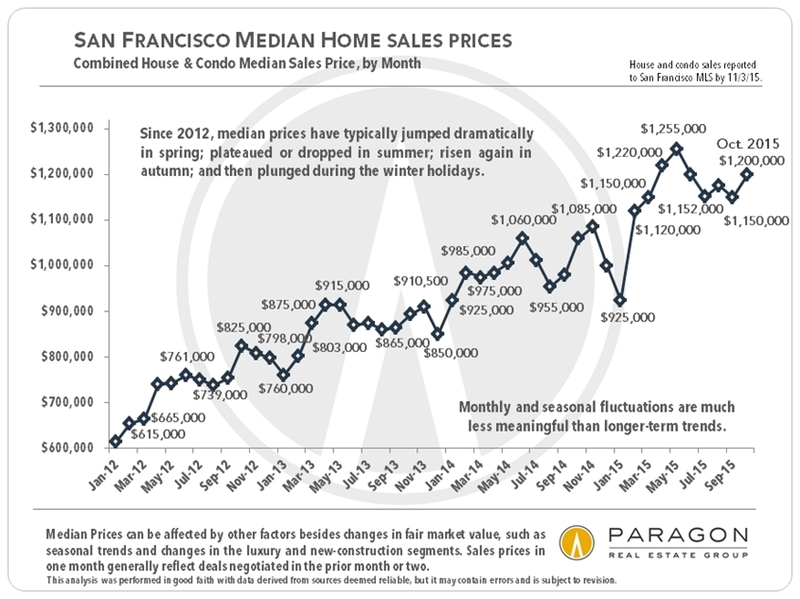 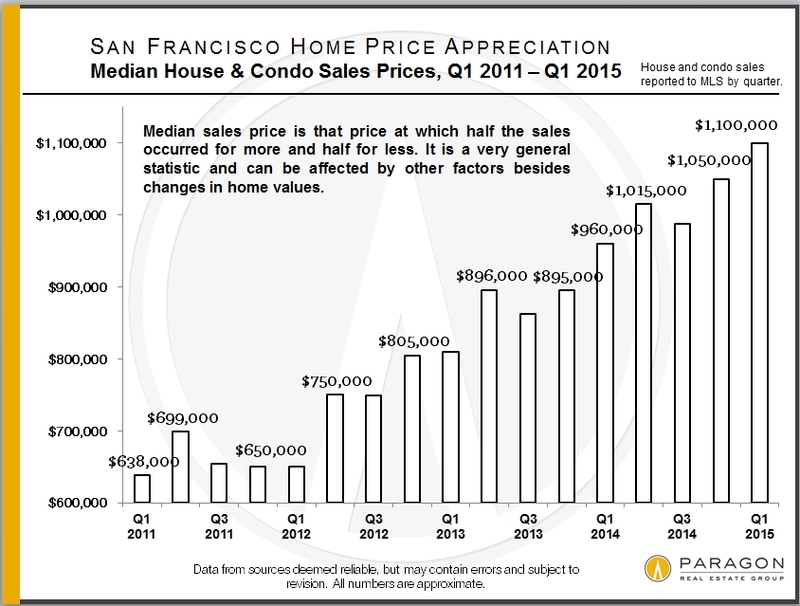 Median sales prices are often affected by other factors besides changes in fair market value. 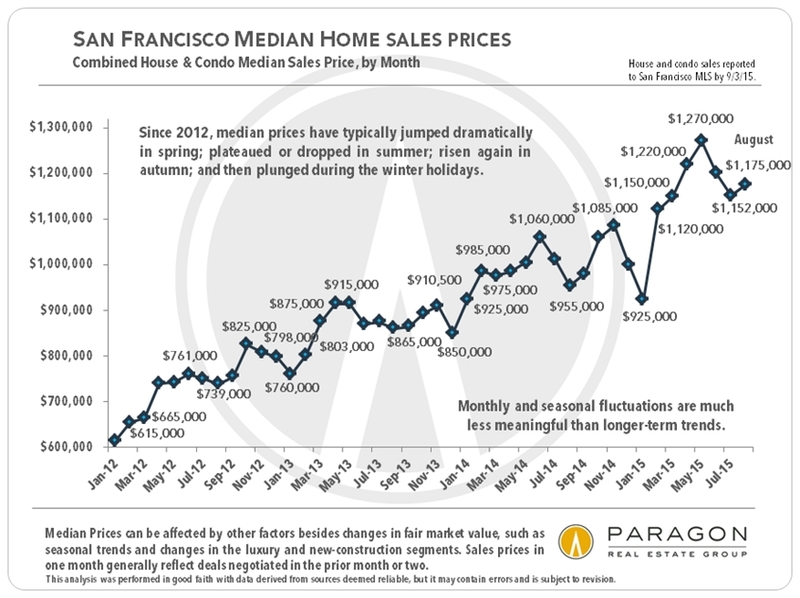 Seasonality; big changes in the distressed, luxury and new-construction market segments or simply the inventory available to purchase;interest rate fluctuations; changes in buyer profile; and other economic variables can all impact median prices. 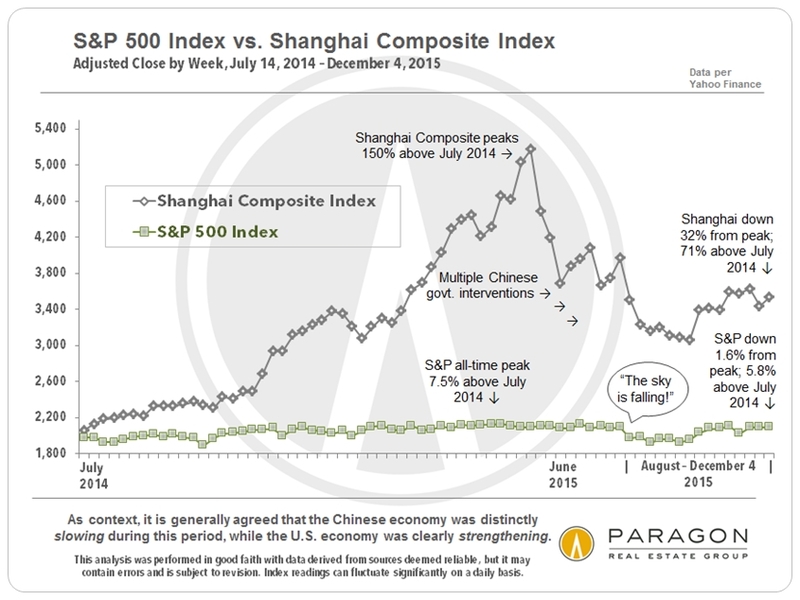 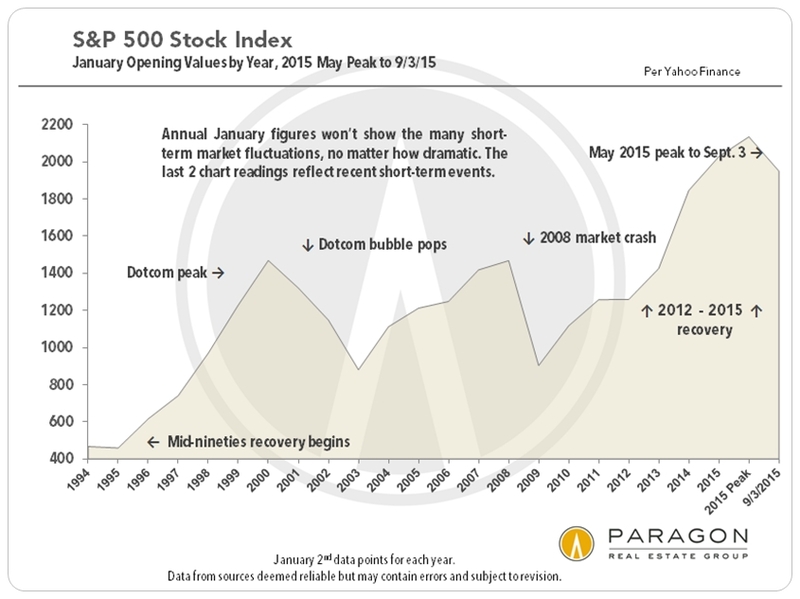 Short term fluctuations are less meaningful than longer term trends. 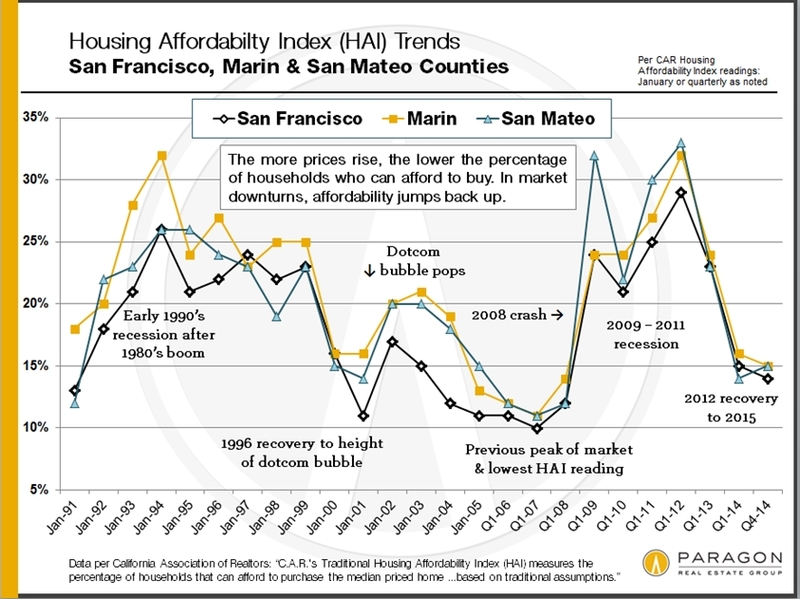 These analyses were made in good faith with data from sources deemed reliable, but they may contain errors and are subject to revision. 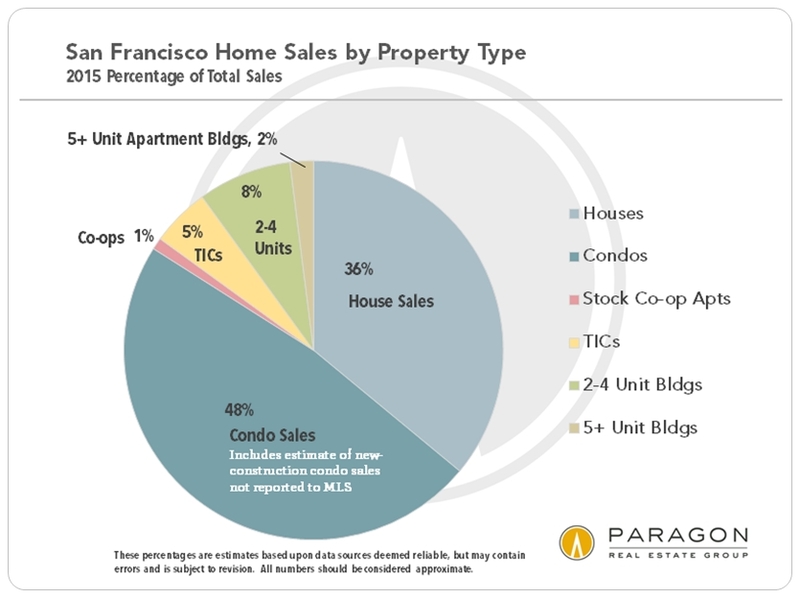 Statistics are generalities and how they apply to any specific property is unknown without a tailored comparative market analysis. 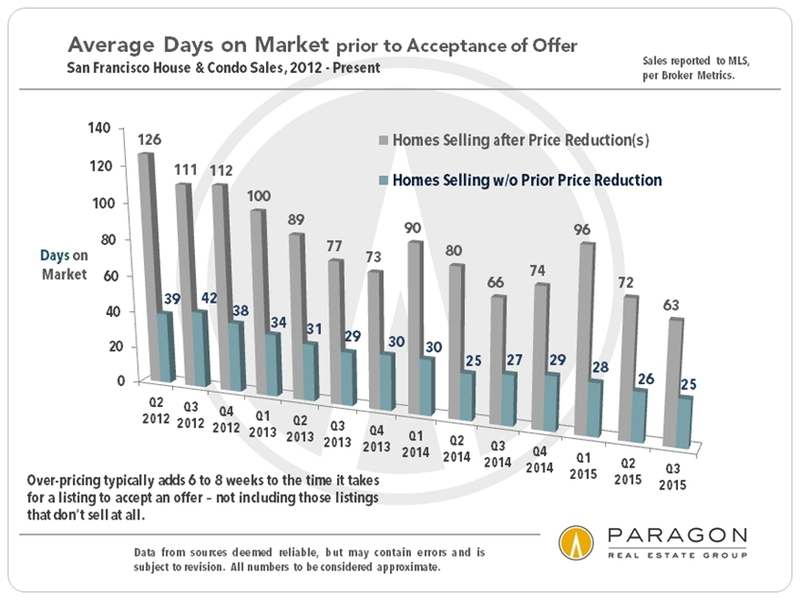 Sales statistics of one month generally reflect offers negotiated 4 – 6 weeks earlier. 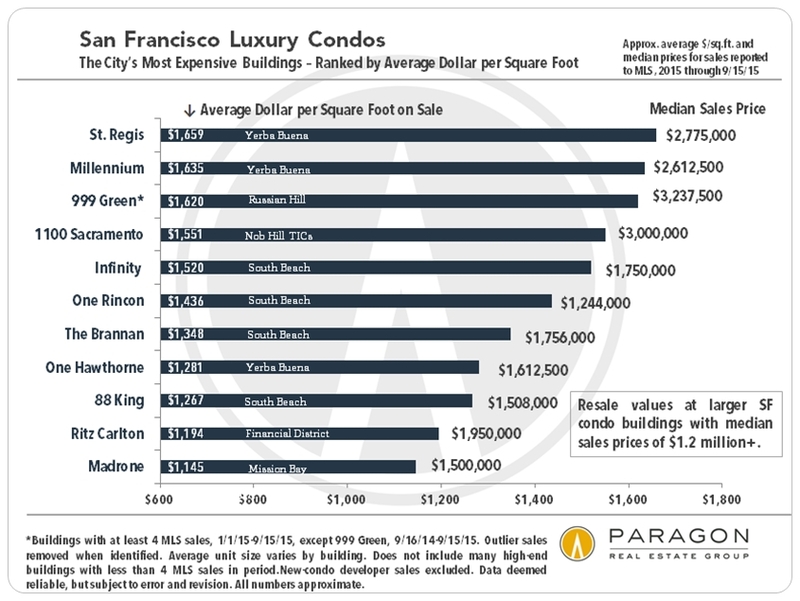 All numbers should be considered approximate.